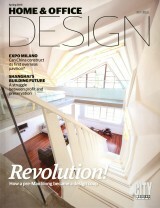 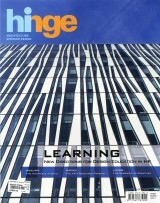 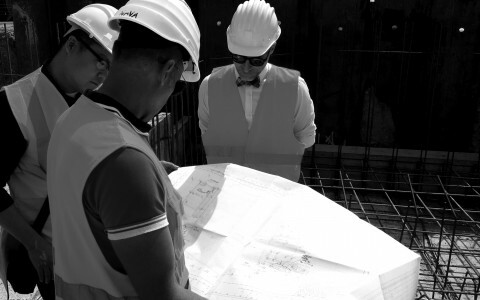 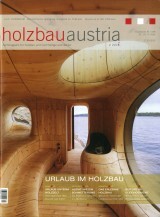 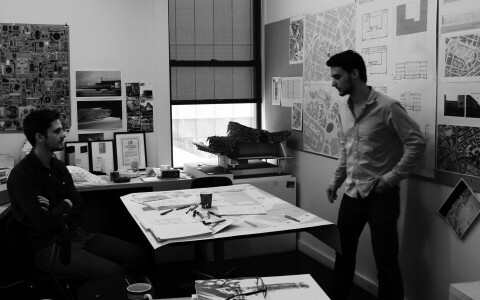 Our body of work includes innovative projects at all scales. 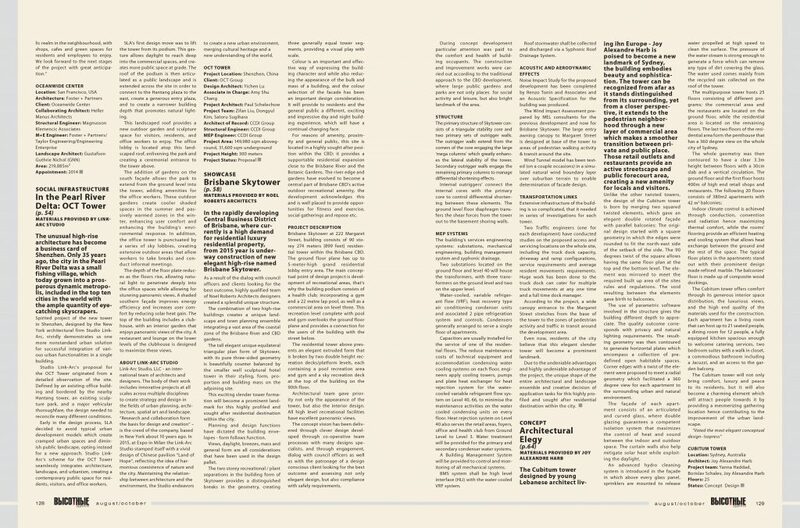 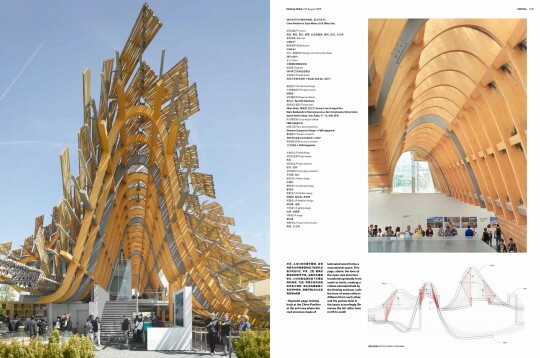 We see the relationship between architecture and context as an opportunity to create new context, new nature and a new understanding of the world. 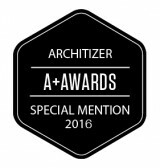 Through research, we uncover the essential truths unique to each project, and use those truths to create concepts and to shape form. 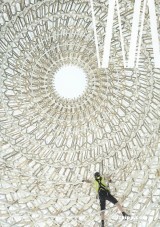 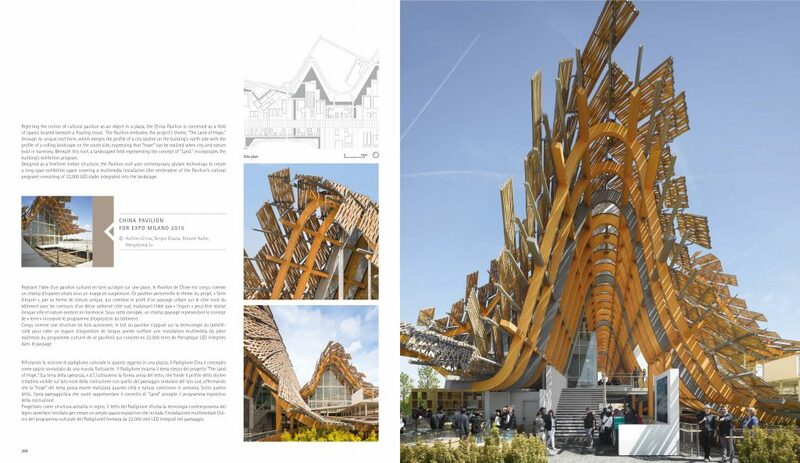 We endeavor to create refined works of architecture. 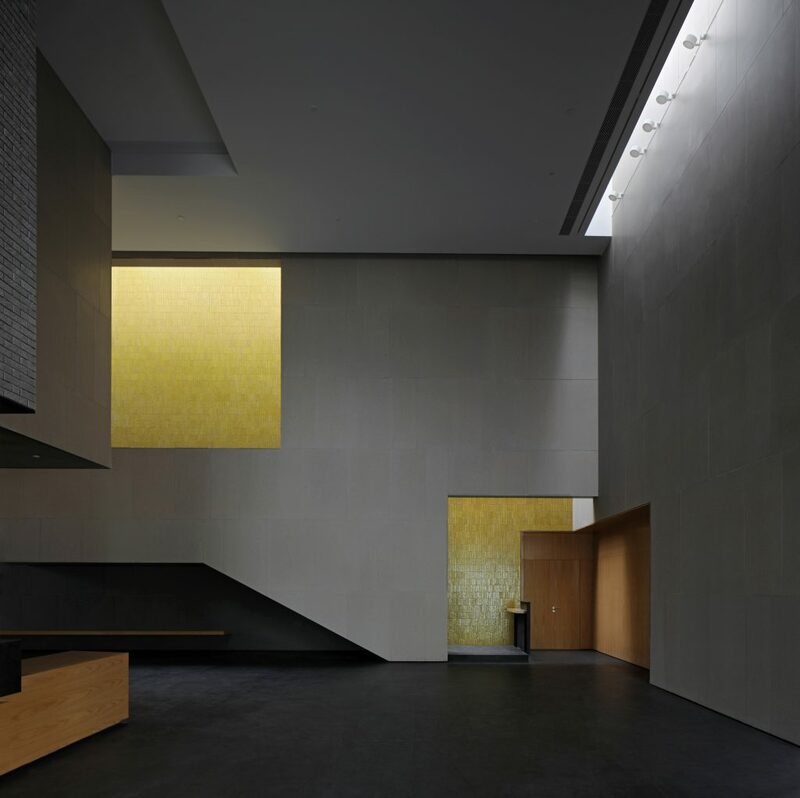 We create spaces that promote contemplation and imagination and provide quiet satisfaction through the simple act of occupation. 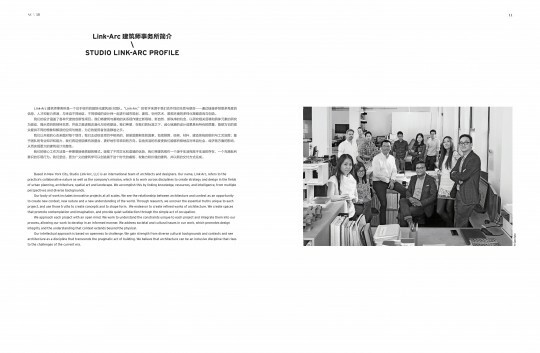 Studio Link-Arc has been named a winner of the 2018 IIDA Global Excellence Awards for the China Resources Archive Library(CRLand Archive Library). 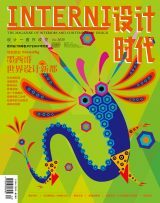 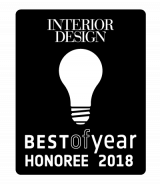 The China Resources Archive Library(CRLand Archive Library) has been named 2018 Best of Year honoree in the Library category by Interior Design Magazine! 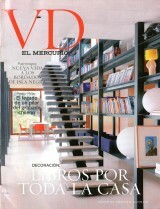 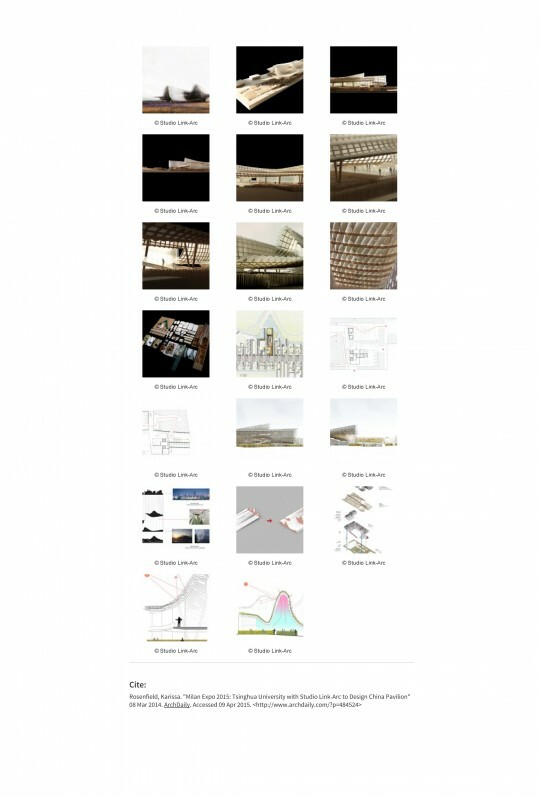 The project is in the “Library” Sector in the link below. 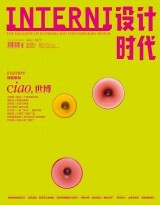 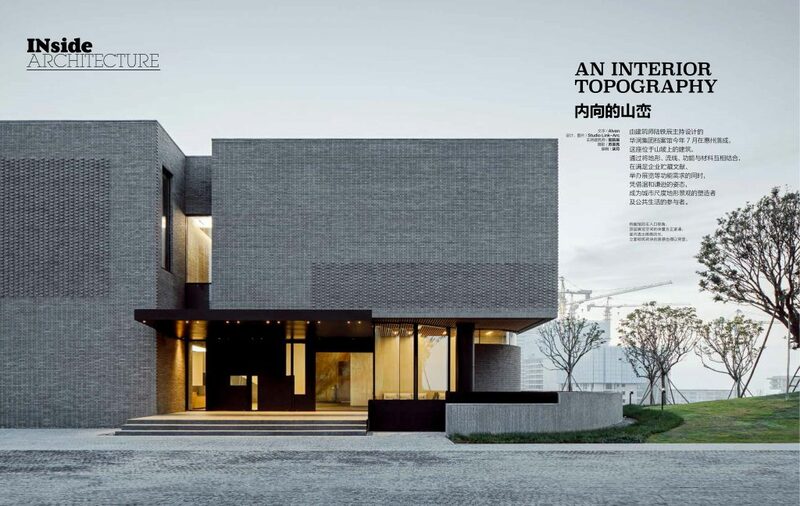 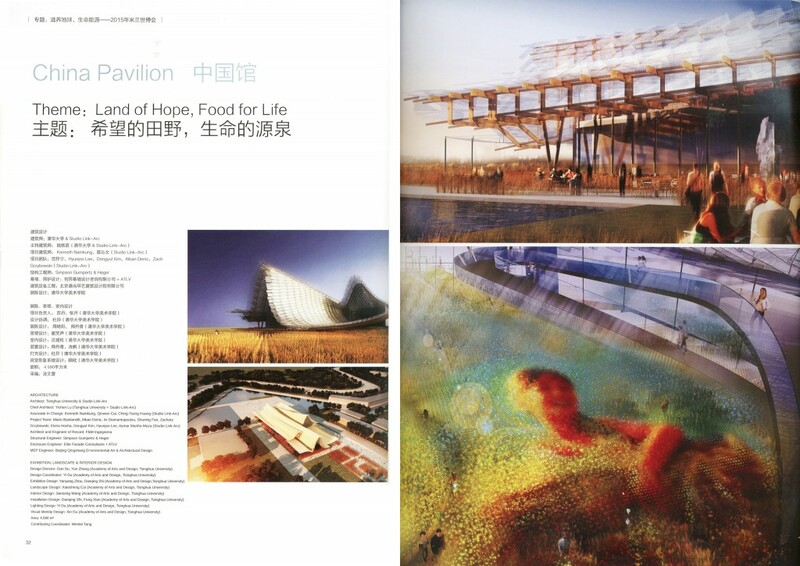 Shenzhen Bay Gallery has been identified as one of the leading architectural design by the professional jury of APDC*IDA. 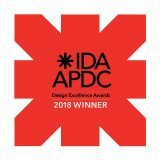 Yichen Lu is a winner of the APDC*IDA 2018 Design Excellence Awards. 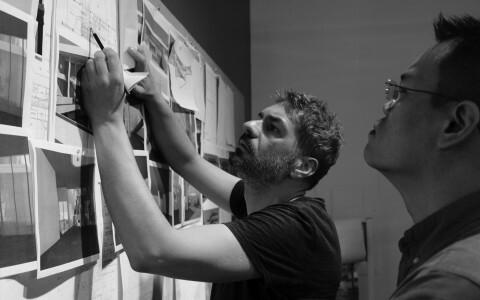 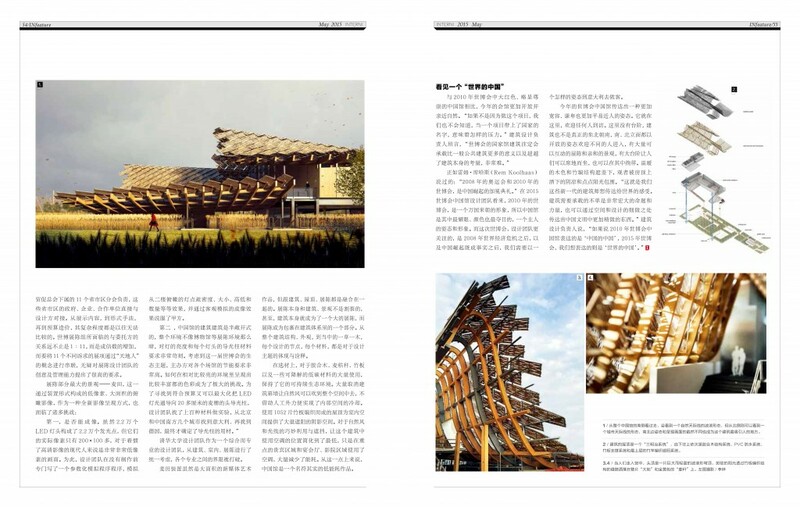 China Pavilion For Expo Milano 2015 has been identified as one of the leading architectural design by the professional jury of APDC*IDA. 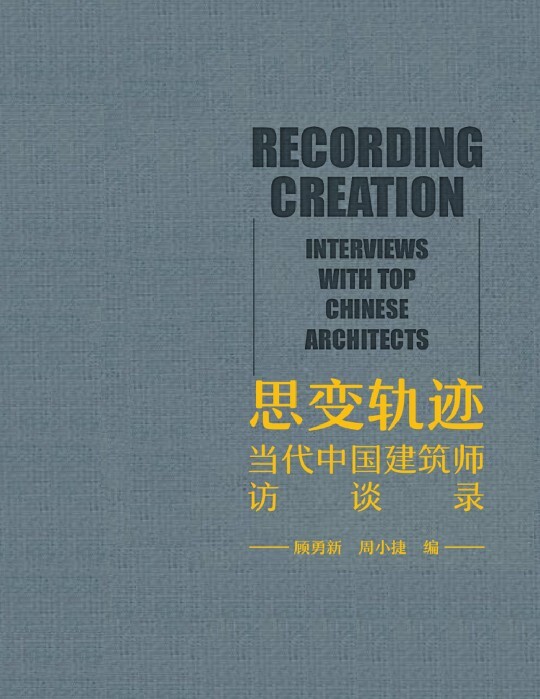 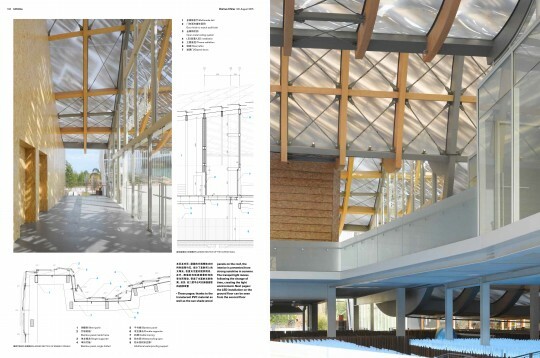 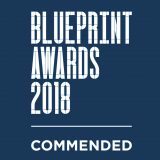 Studio Link-Arc was awarded Best Public-Use Project: Private Funding with the China Resources Archive Library(CRLand Archive Library) at 2018 Blueprint Awards. 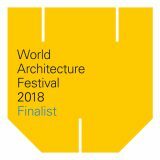 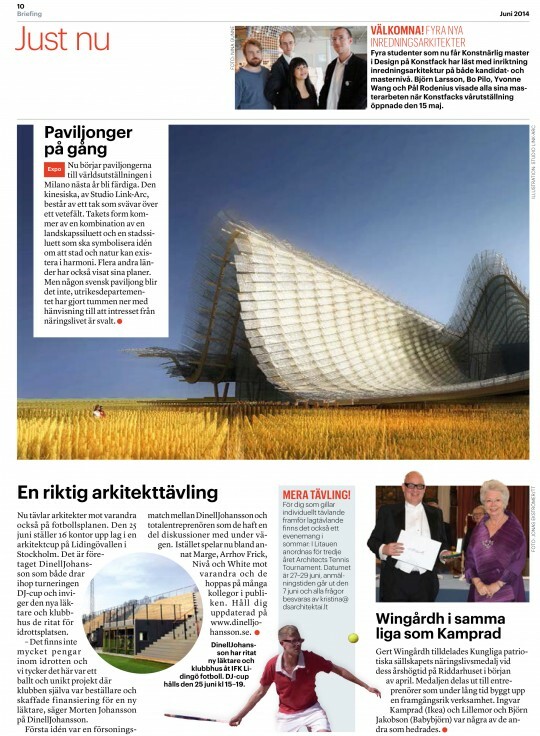 Studio Link-Arc was one of the finalists for 2018 World Architecture News Rising Star Award. 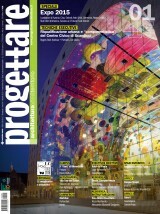 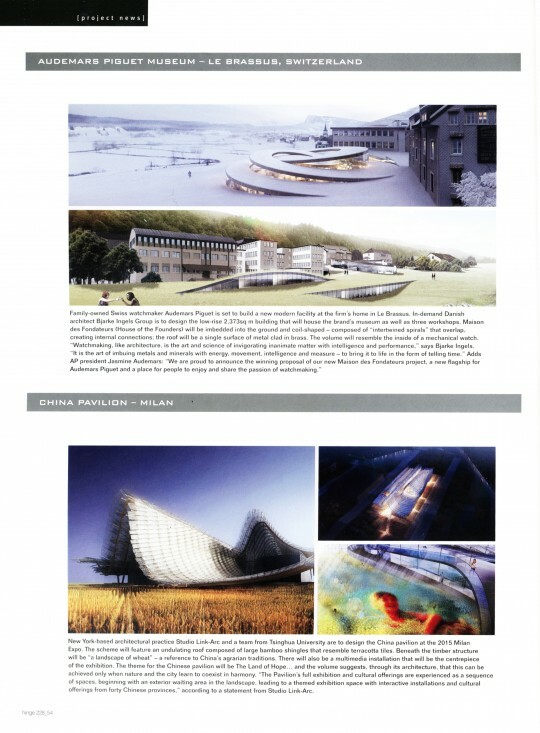 The project is in the “Best of the Best: Rising Star” Sector in the link below. 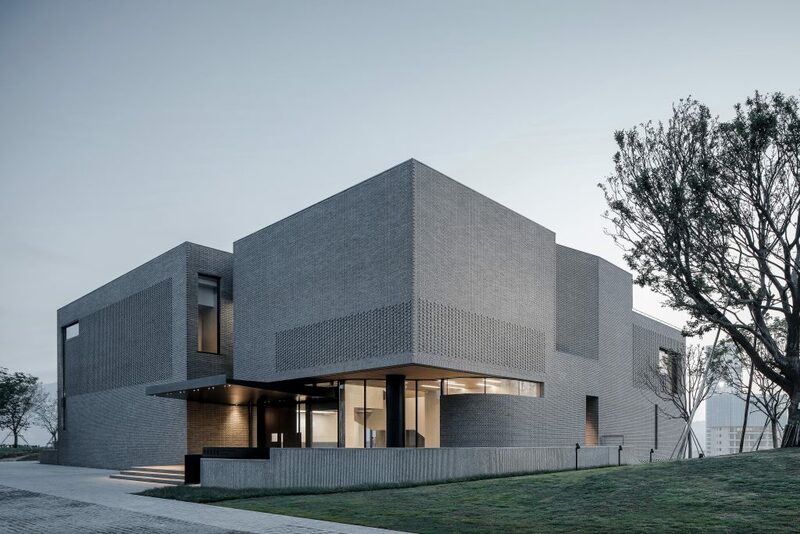 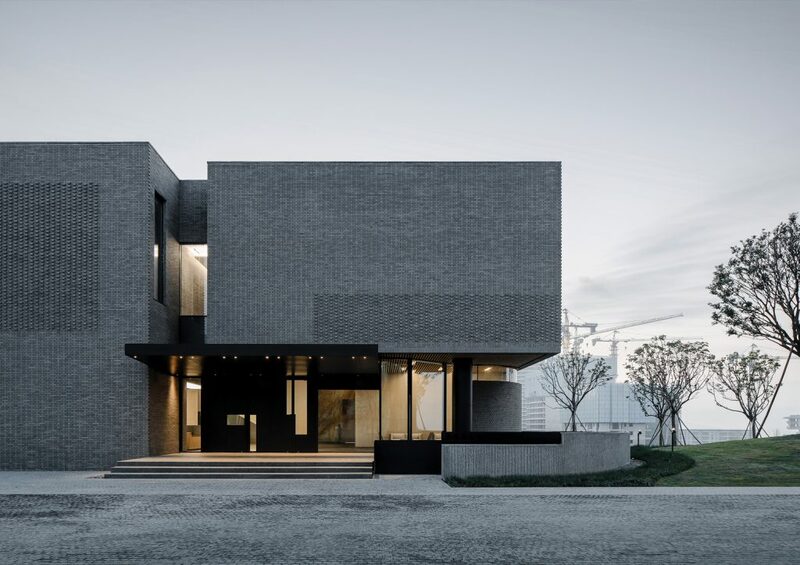 The China Resources Archive Library(CRLand Archive Library) was one of the finalists for 2018 World Architecture News Civic Building Award. 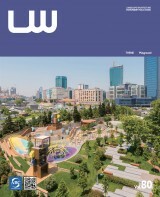 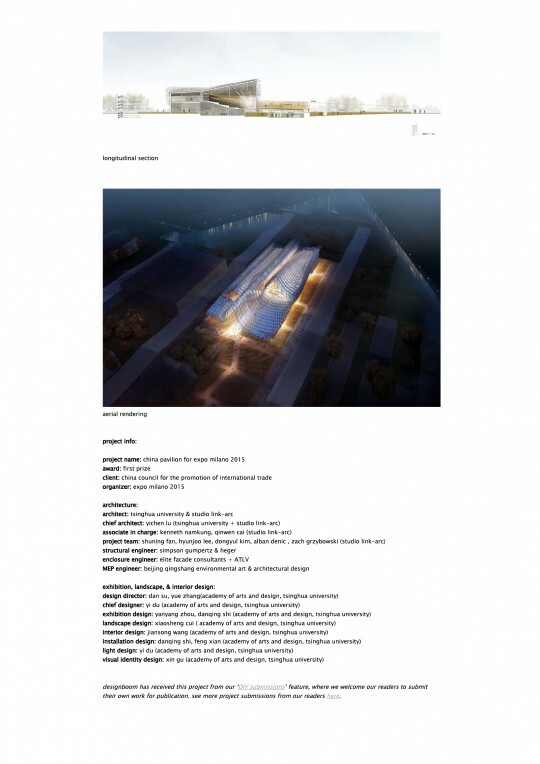 The project is in the “Civic Building” Sector in the link below. 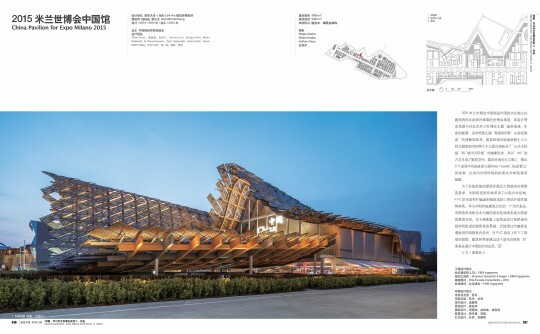 The Luhu Cultural Center was one of the finalists for 2018 World Architecture News Future Project Civic Building Award. 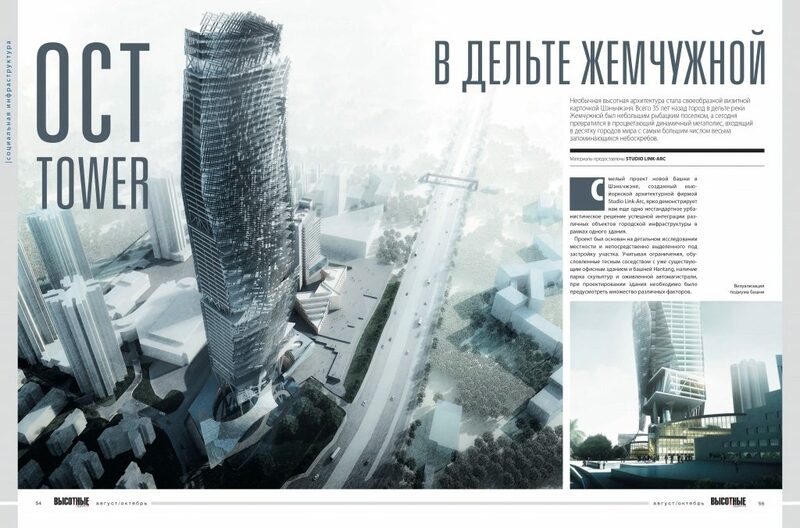 The project is in the “Future Project: Civic” Sector in the link below. 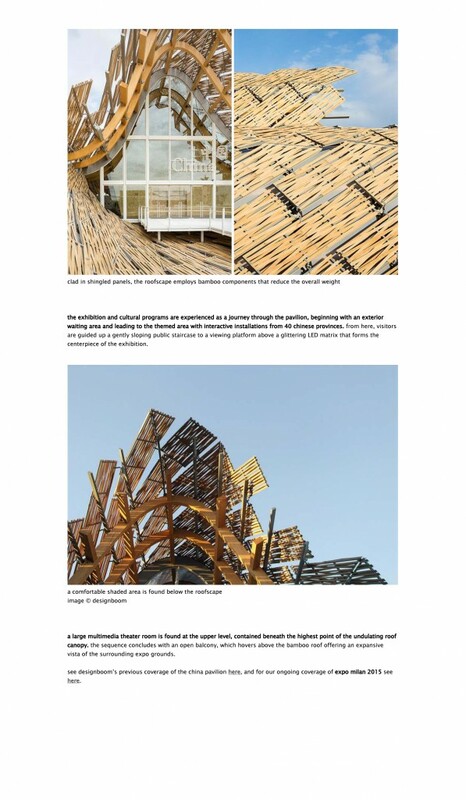 The Luhu Cultural Center was shortlisted for Civic – Future Project of the Year as part the 2018 World Architecture Festival, which took place in November 2018 in Amsterdam. 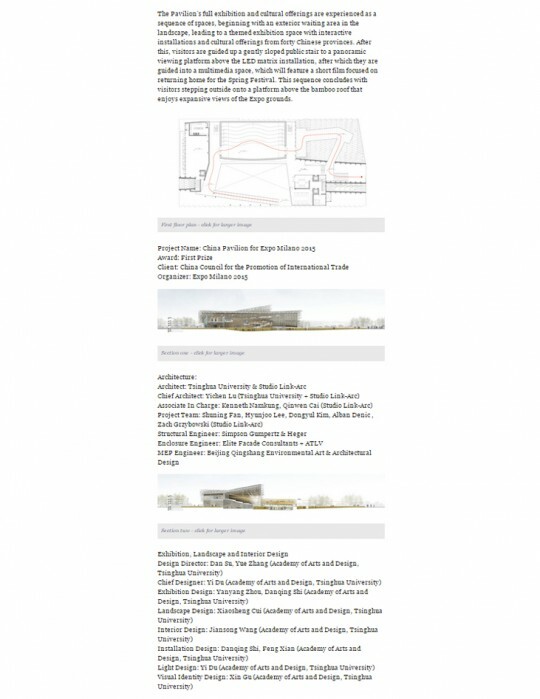 The project is near the bottom of the page in the link below. 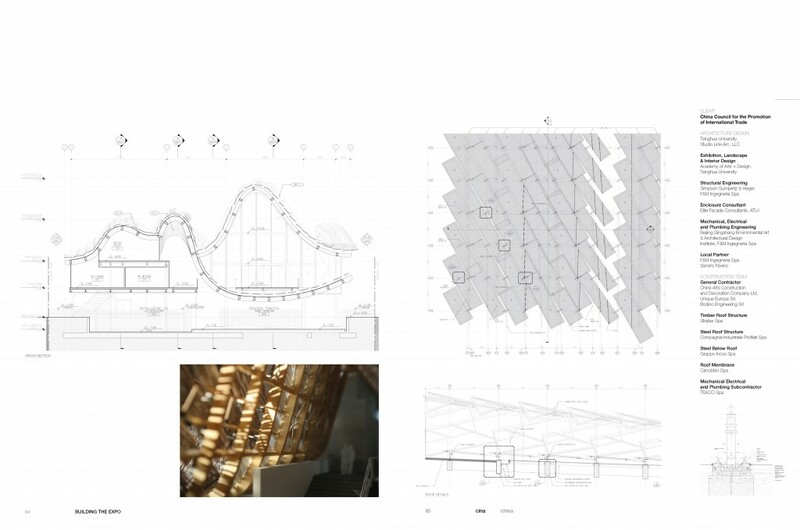 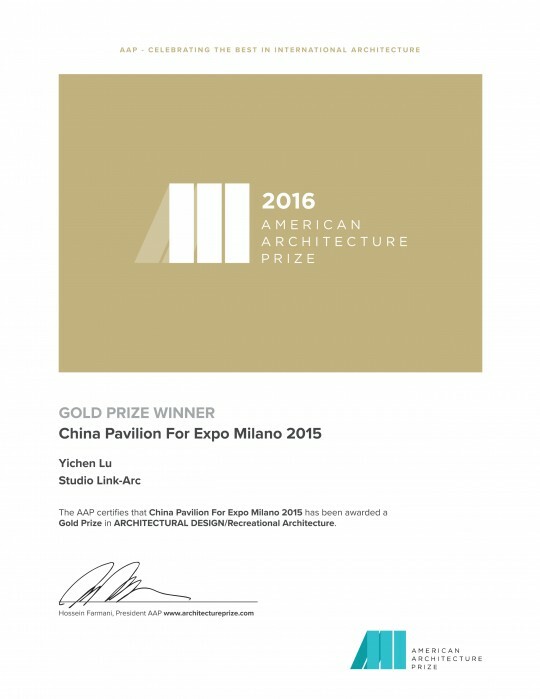 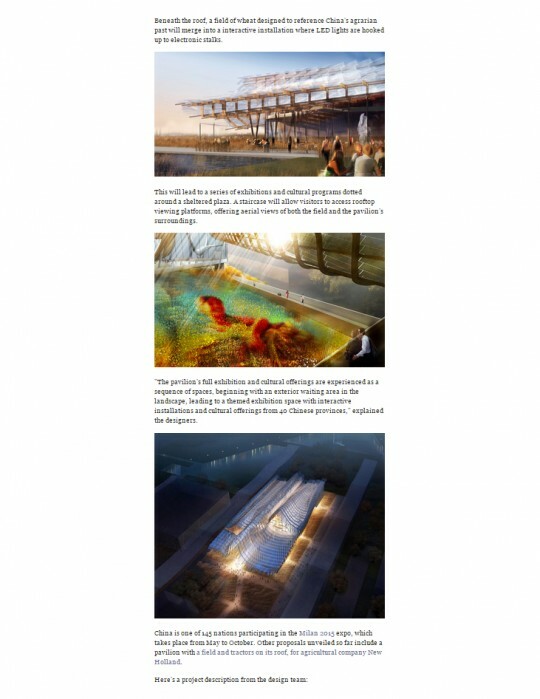 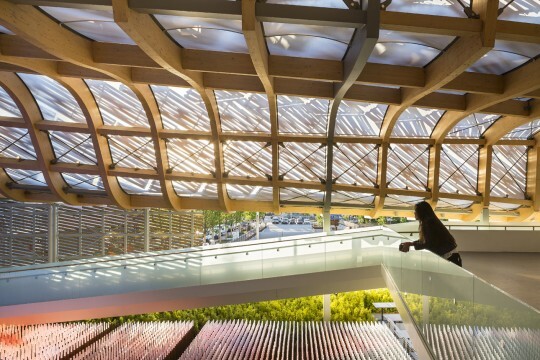 The China Pavilion for Expo Milano 2015 received the Gold Award for Recreational Architecture as part of the inaugural American Architecture Prize. 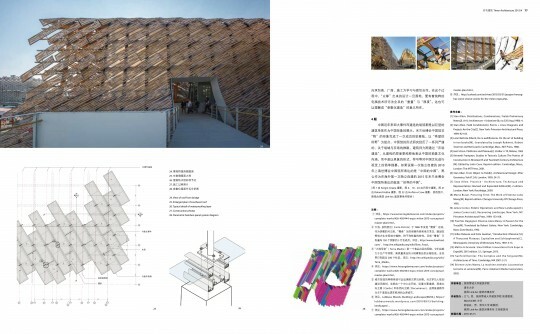 The award was presented at a reception held at the Cooper Hewitt Museum in New York City. 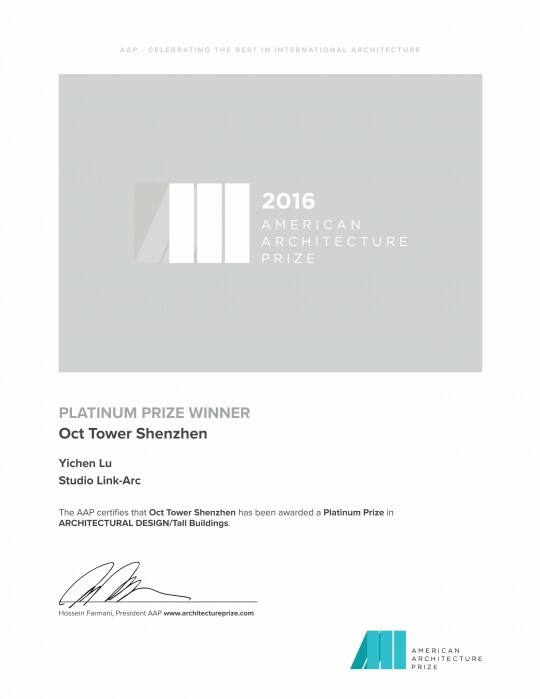 Studio Link-Arc’s proposal for the Shenzhen headquarters of the OCT Group received the Platinum Award for Tall Buildings as part of the inaugural 2016 American Architecture prize. 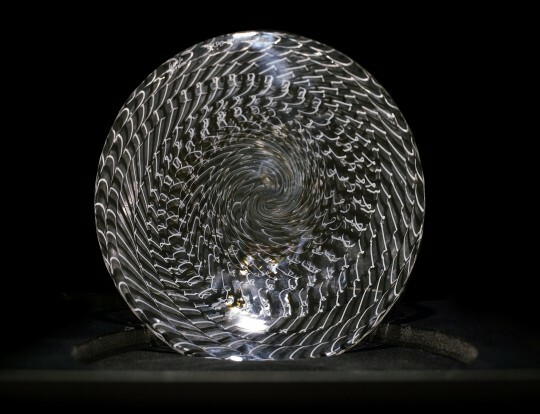 The award was presented at the Cooper Hewitt Museum in New York City. 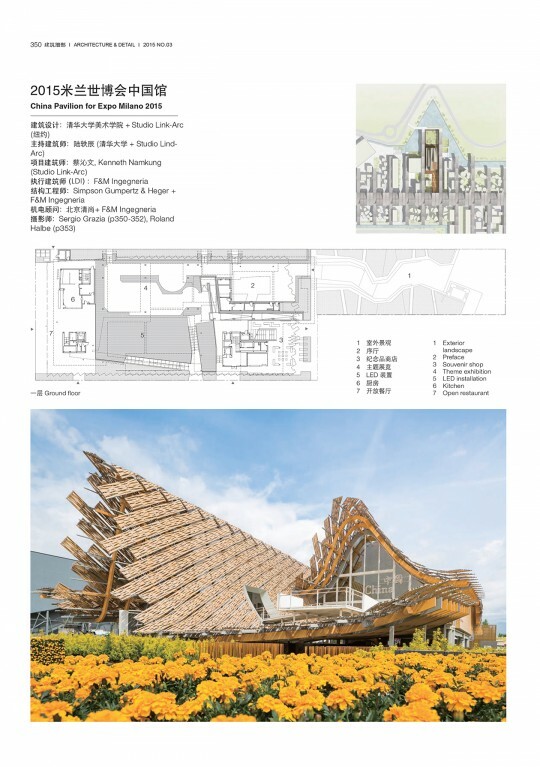 The China Pavilion for Expo Milano 2015 was shortlisted for Culture Building of the Year as part the 2016 World Architecture Festival, which took place in November 2016 in Berlin. 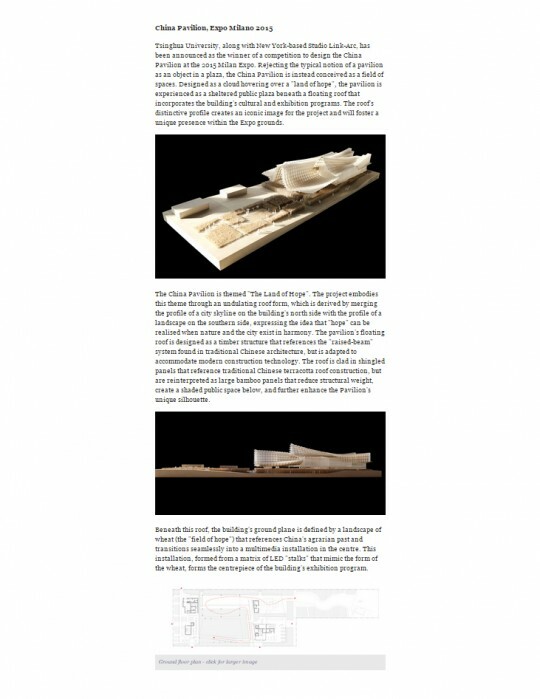 The project is near the bottom of the page in the link below. 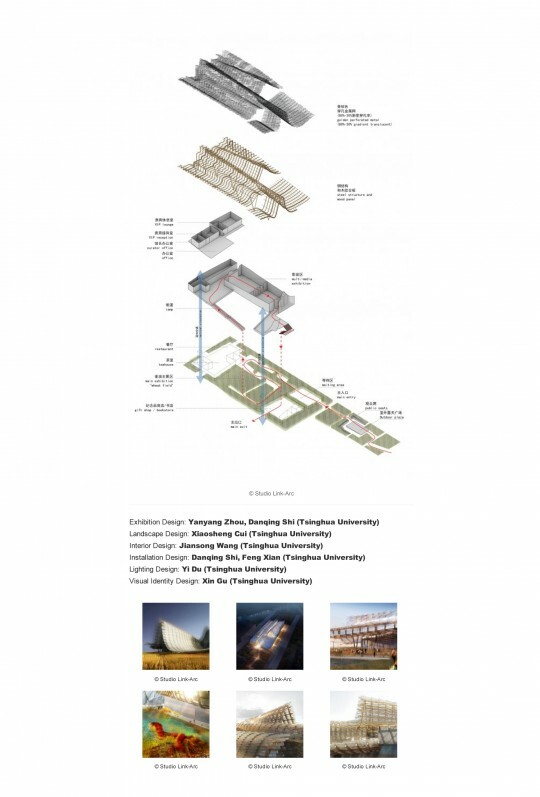 Studio Link-Arc received a 2017 German Design Award Special Mention for its design proposal for the Shanghai Museum East Pavilion. 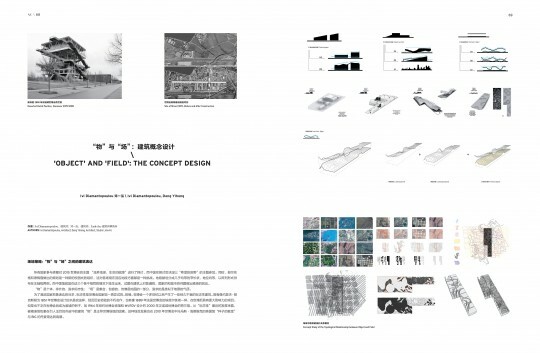 This project is defined by a unique site response and programming strategy which mixes urban life and cultural programming to create a new type of civic space within the monumental center of Shanghai. 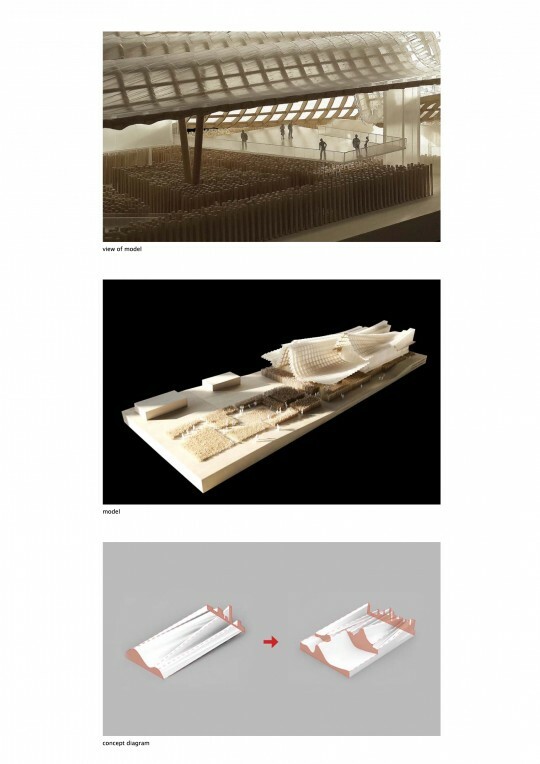 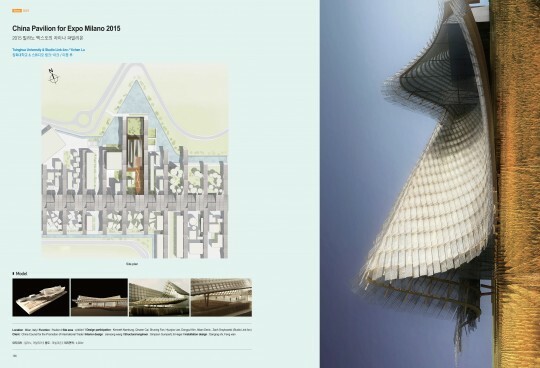 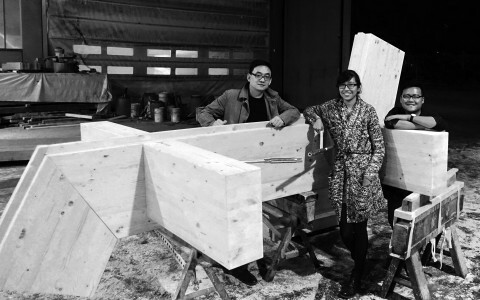 The China Pavilion for Expo Milano 2015 received the Gold Prize as part of the 2016 Architecture Creation Awards, a prestigious design prize from the Institute of Chinese Architects. 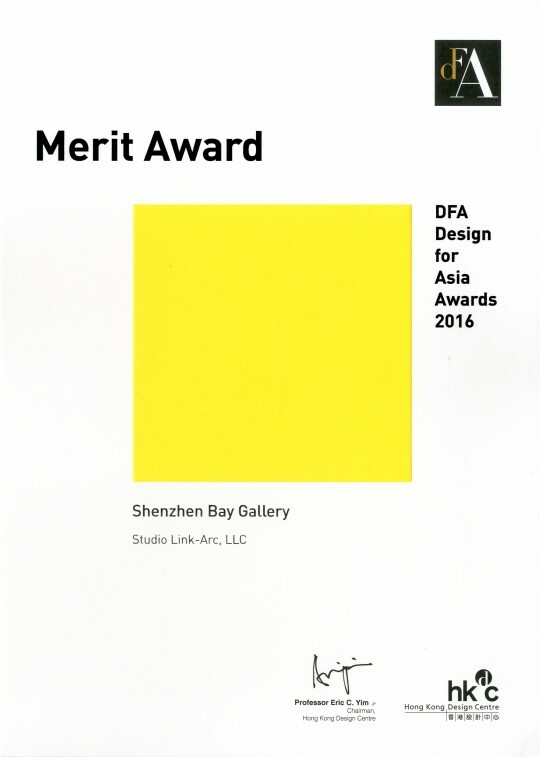 The Shenzhen Bay Gallery received a 2016 Design for Asia Merit Award from the Hong Kong Design Centre. 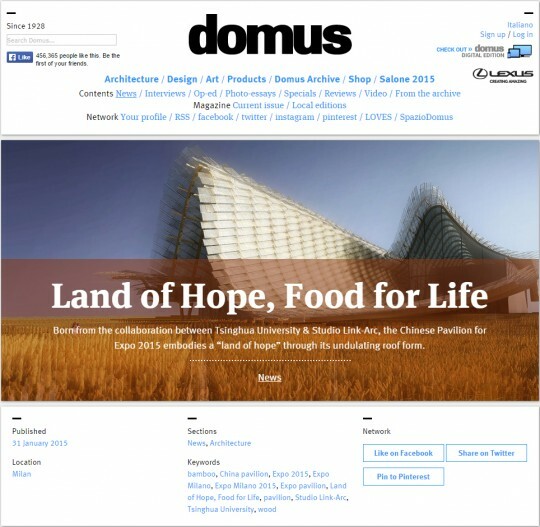 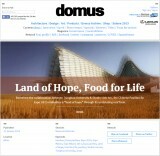 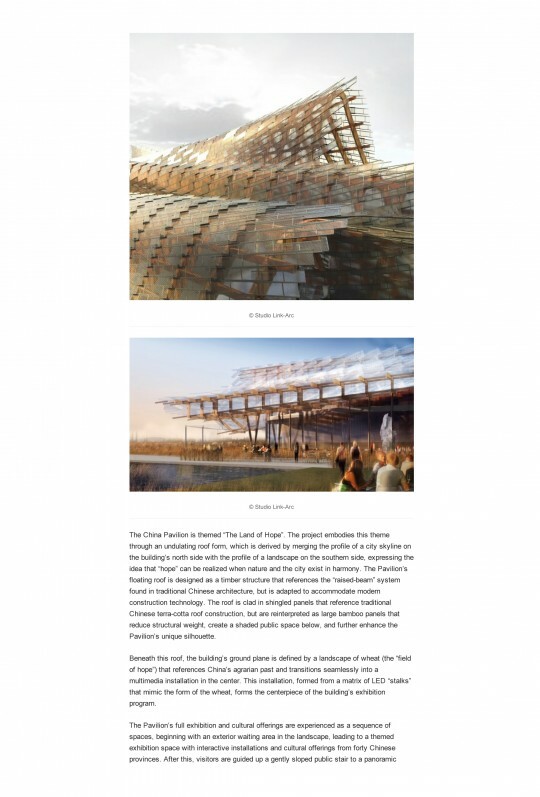 This cultural project is defined by a unique site response and material strategy. 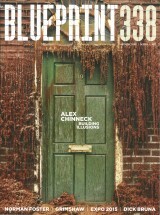 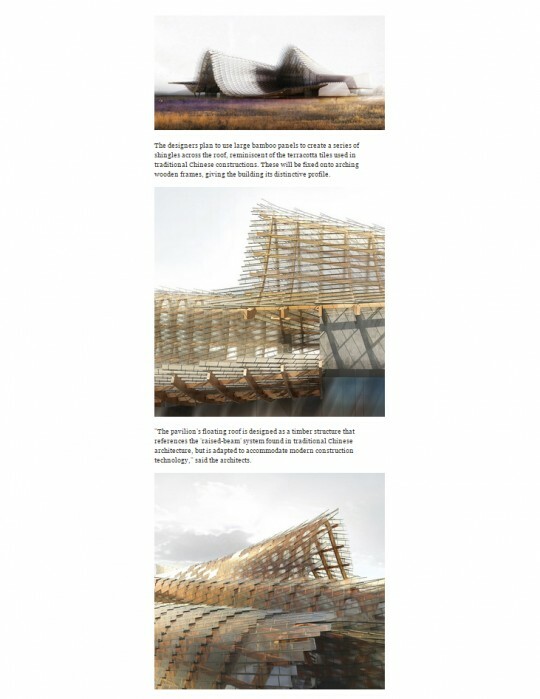 Scroll to #43 in the link below to see the project. 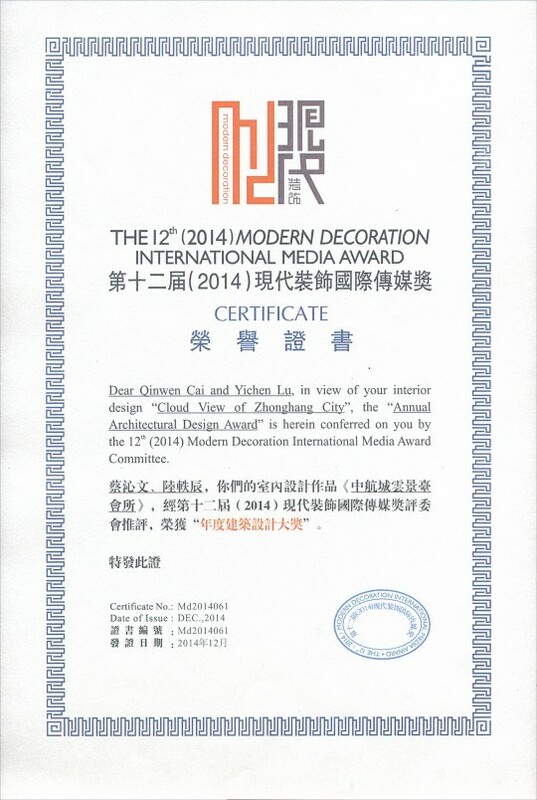 Award Certificate from the Hong Kong Design Centre (HKDC). 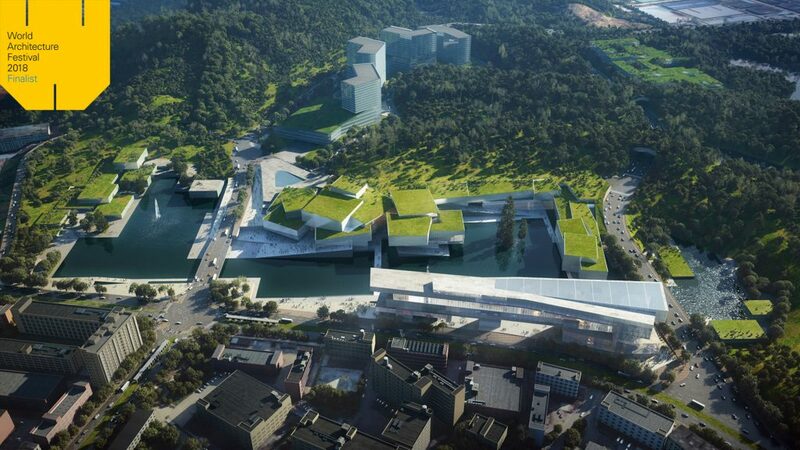 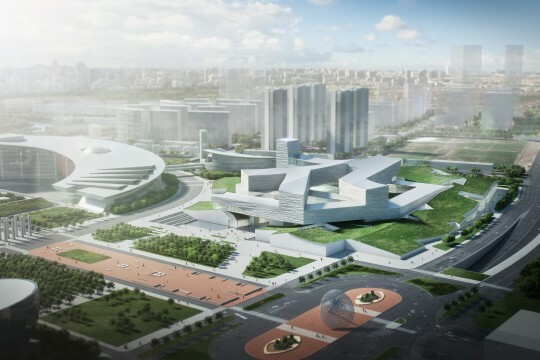 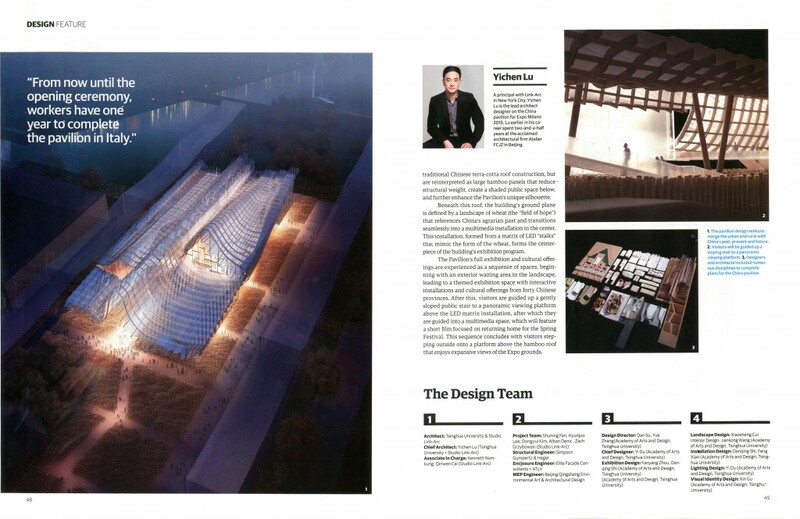 Studio Link-Arc’s proposal for the extension of the Shanghai Museum received the 2016 Iconic Award in the “Concept>Visionary Architecture” category from the German Design Council. 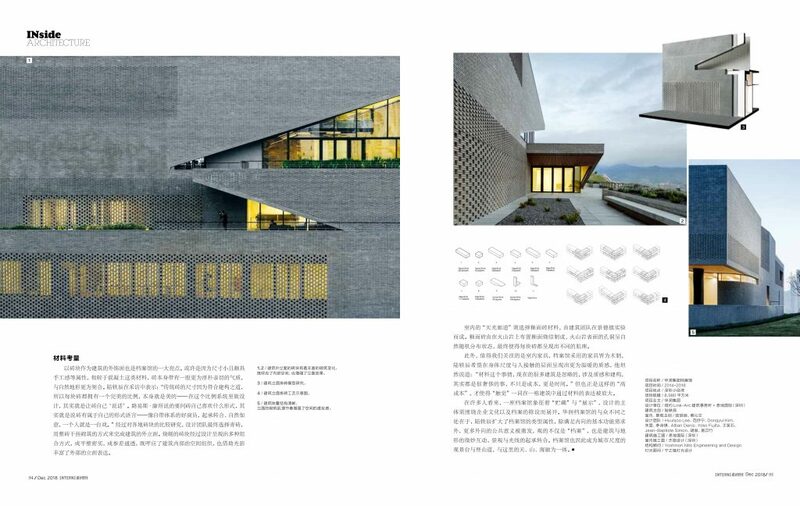 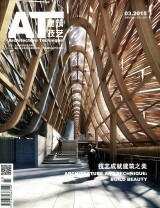 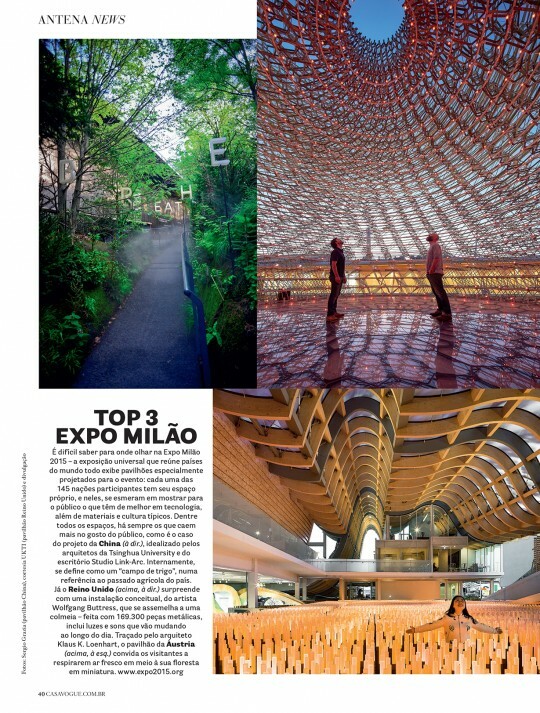 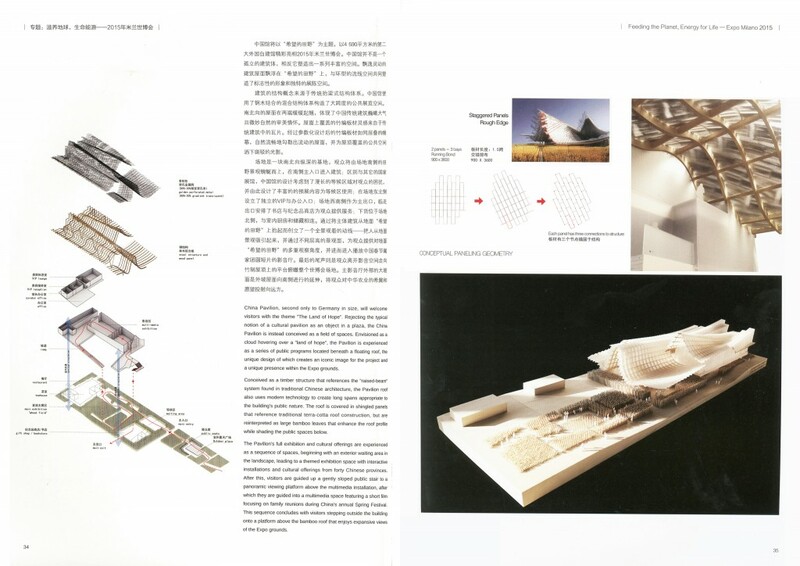 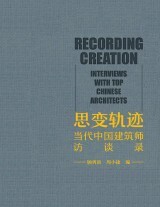 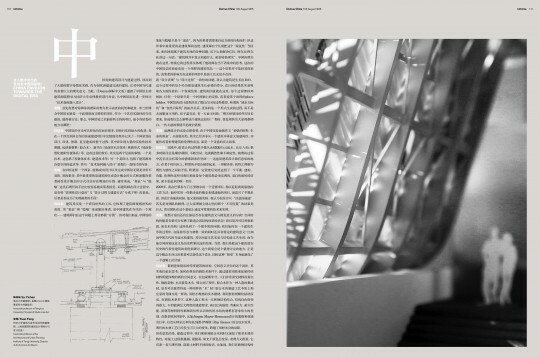 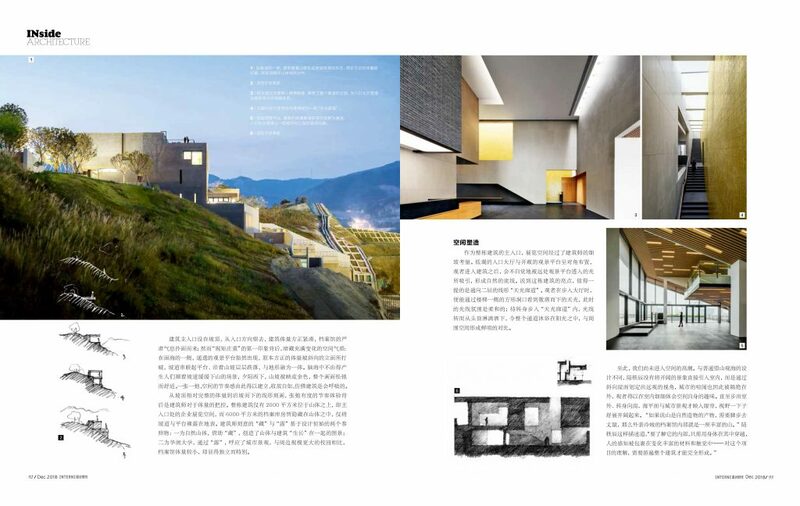 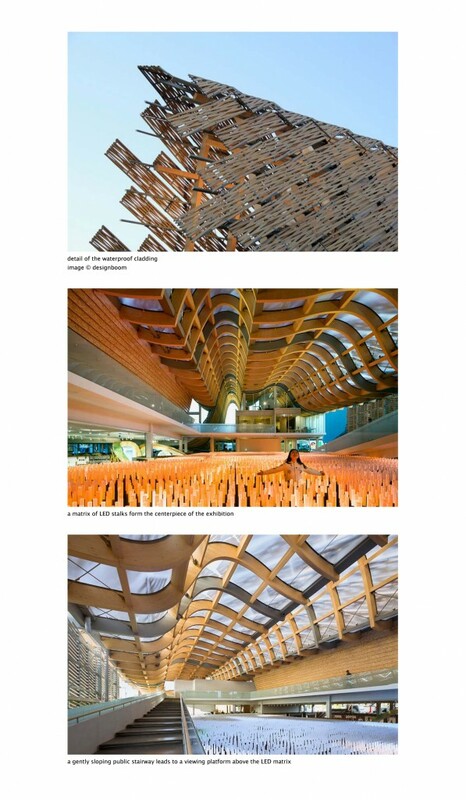 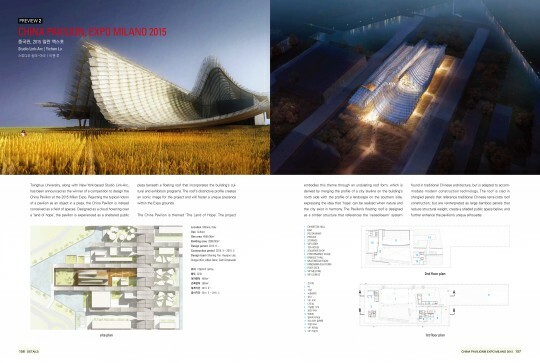 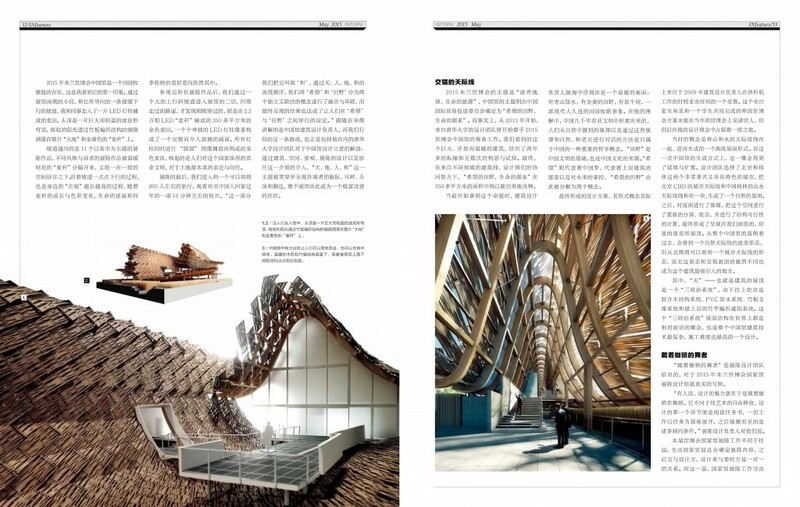 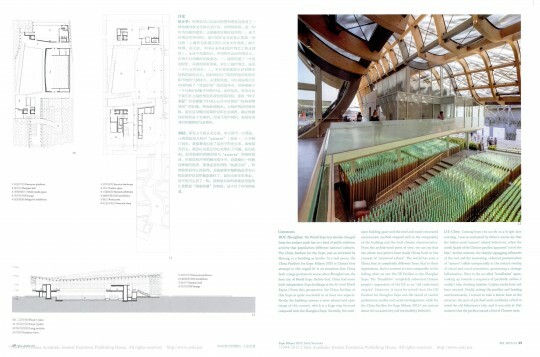 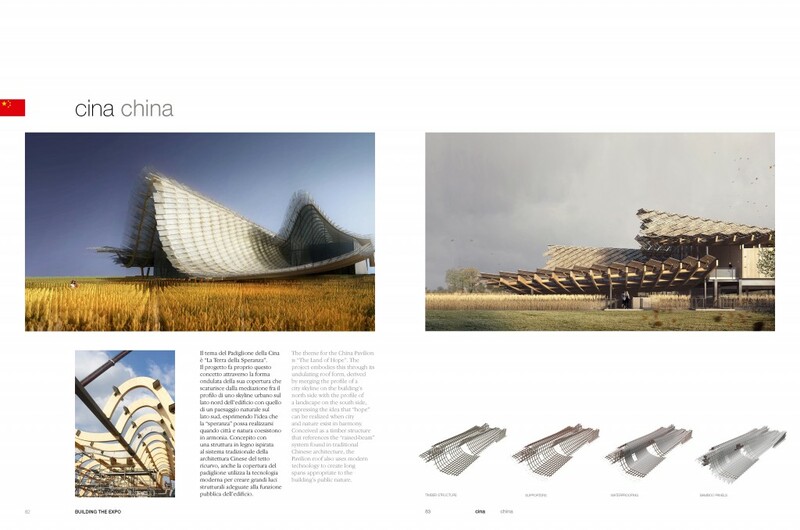 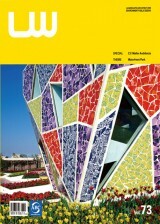 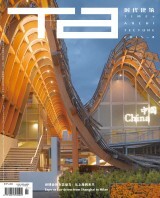 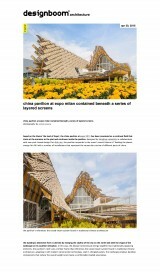 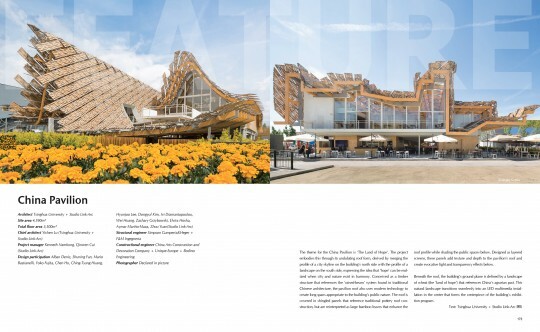 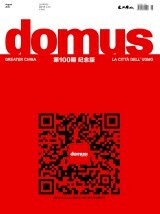 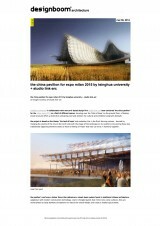 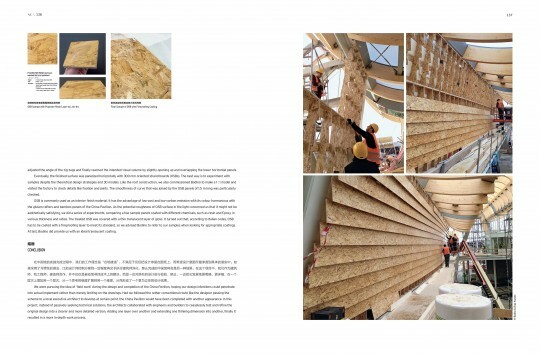 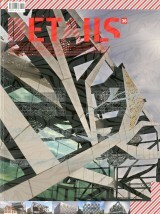 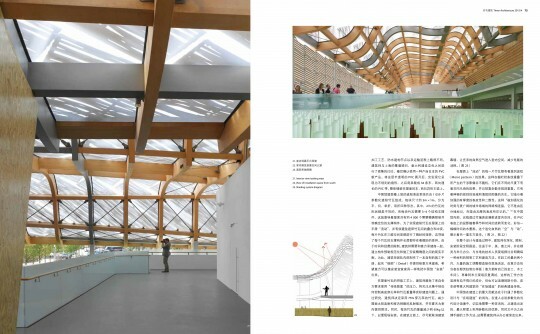 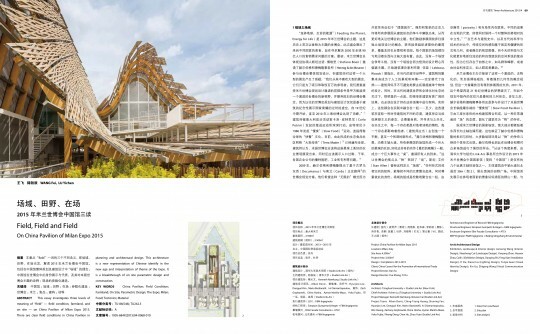 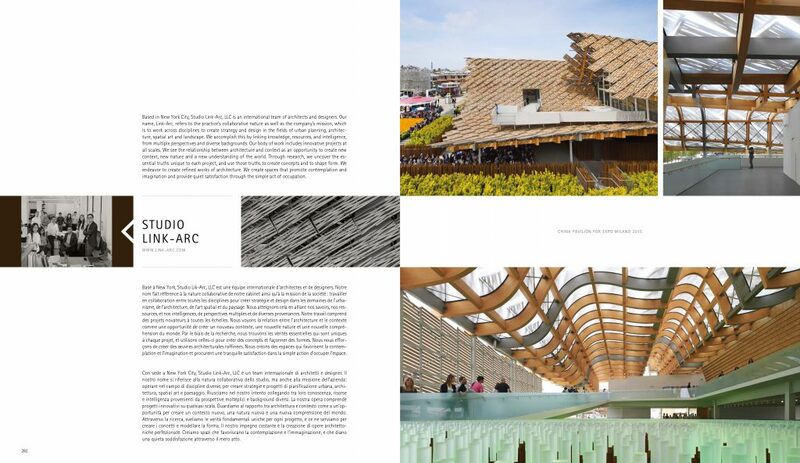 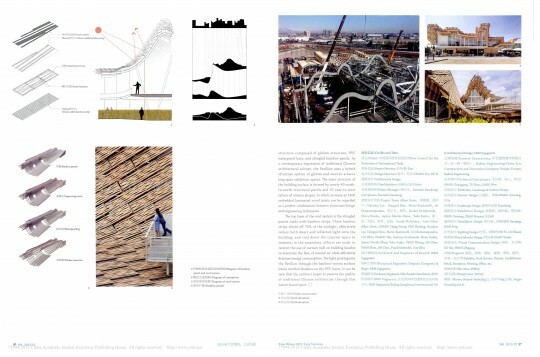 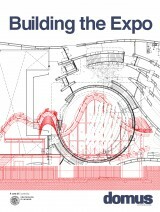 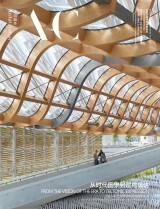 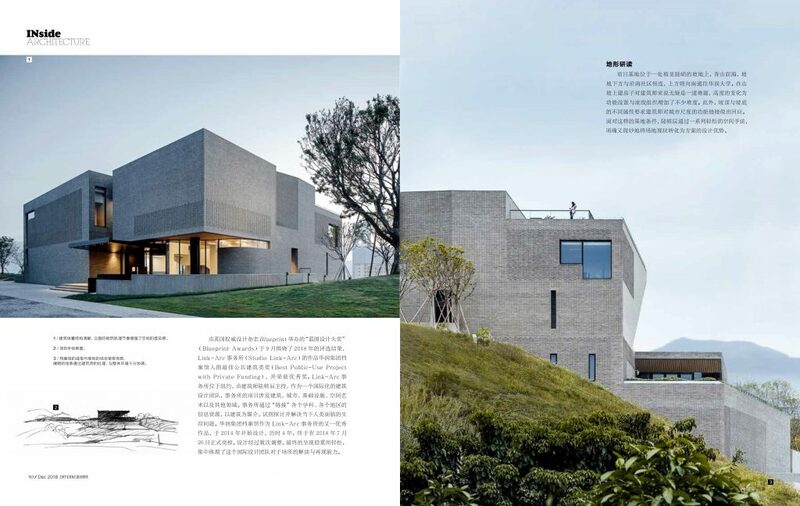 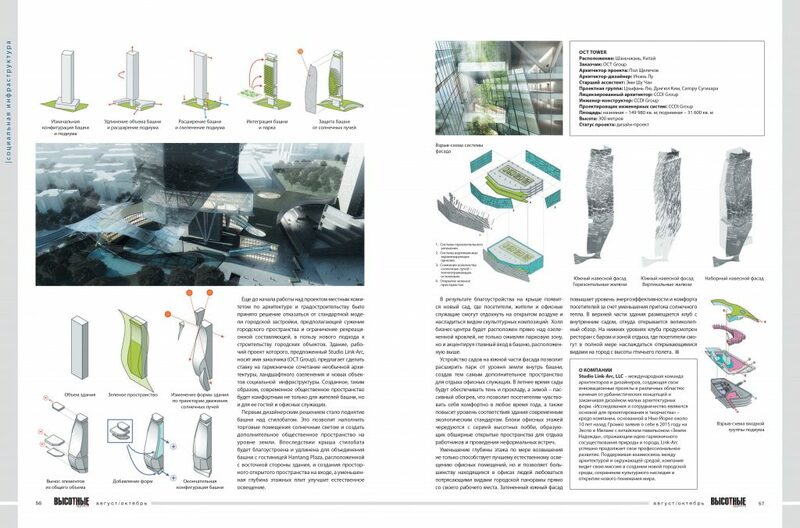 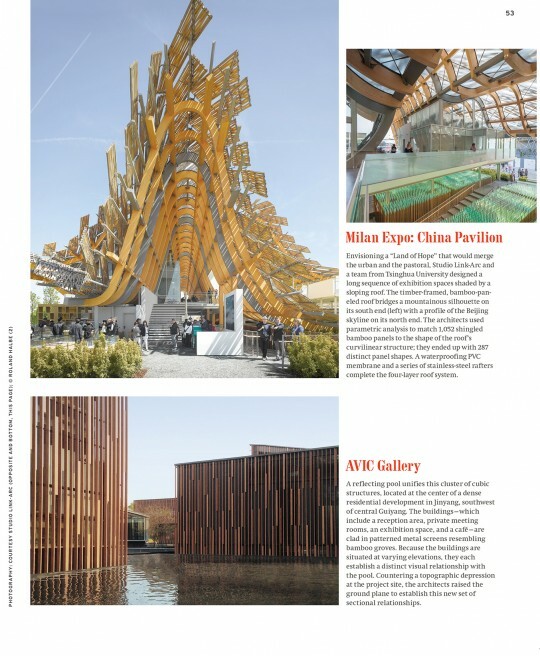 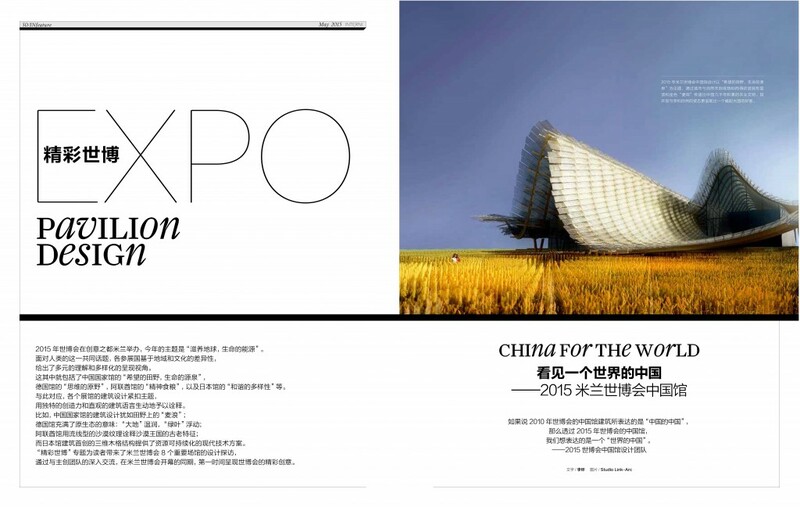 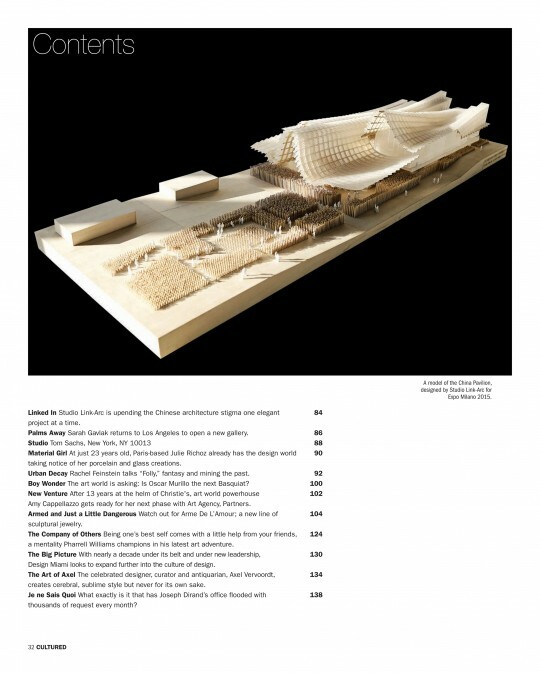 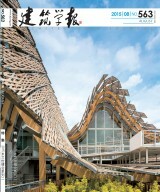 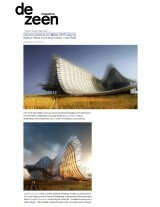 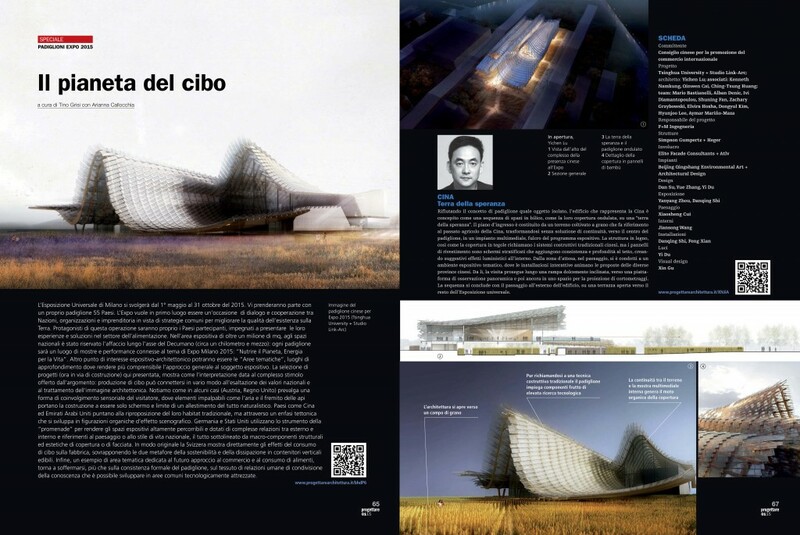 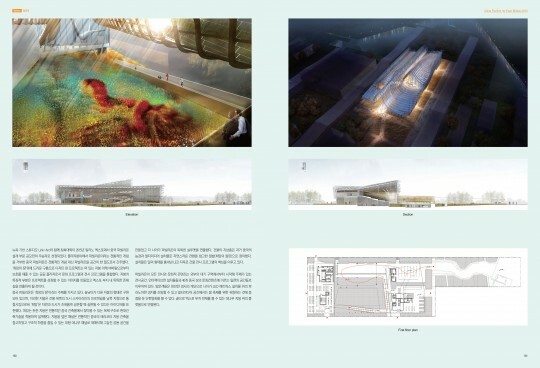 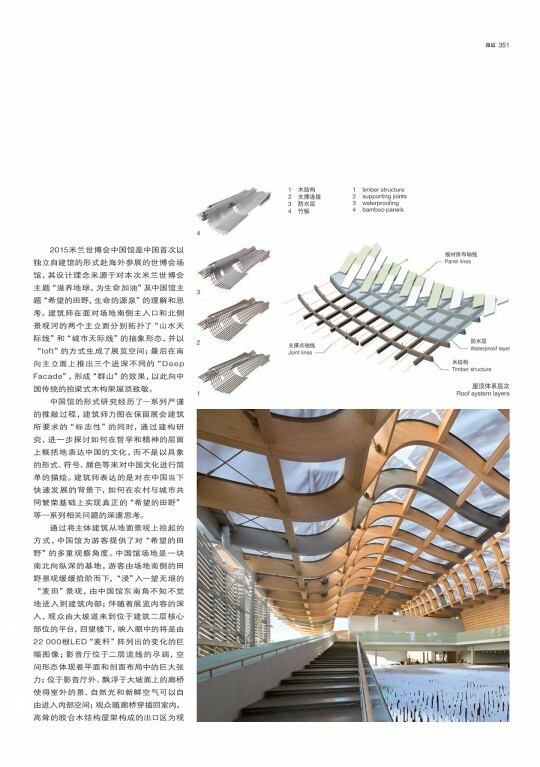 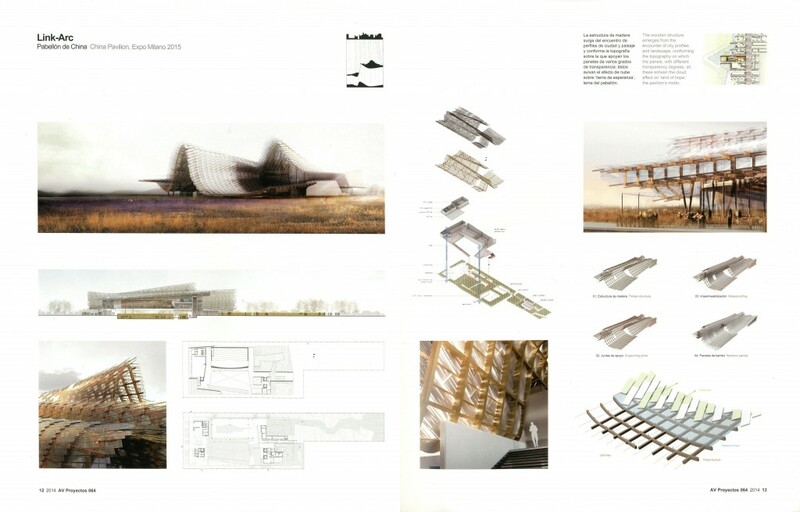 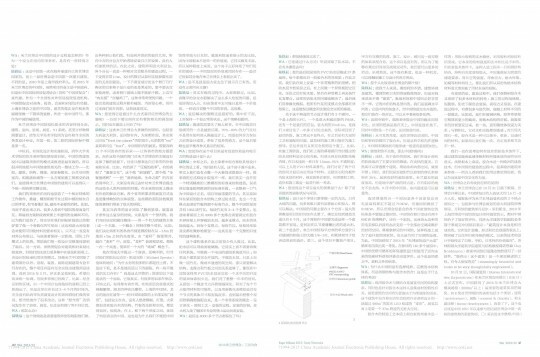 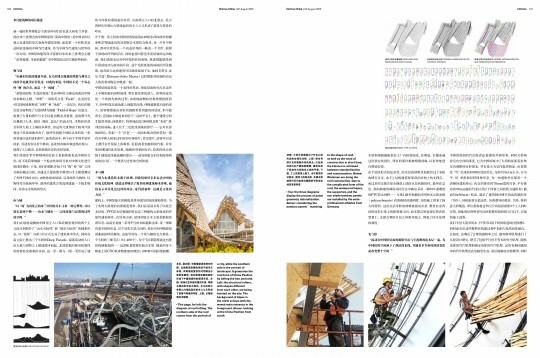 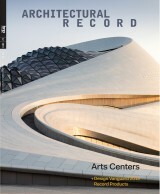 The Shanghai Museum East Pavilion in the Iconic Awards Catalogue. 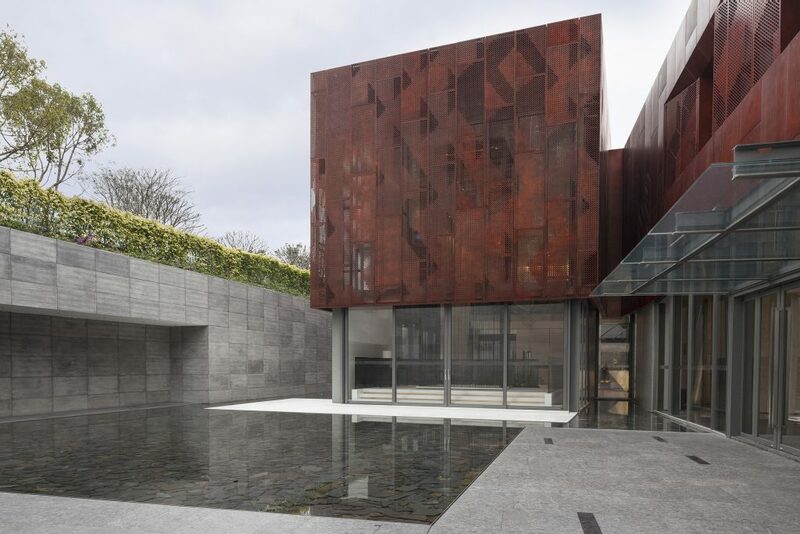 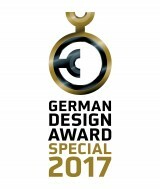 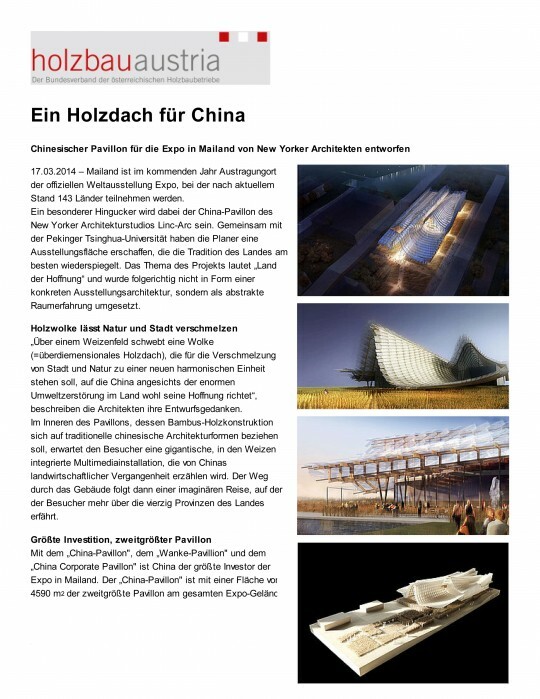 The Shenzhen Bay Gallery received the 2016 Iconic Award from the German Design Council. 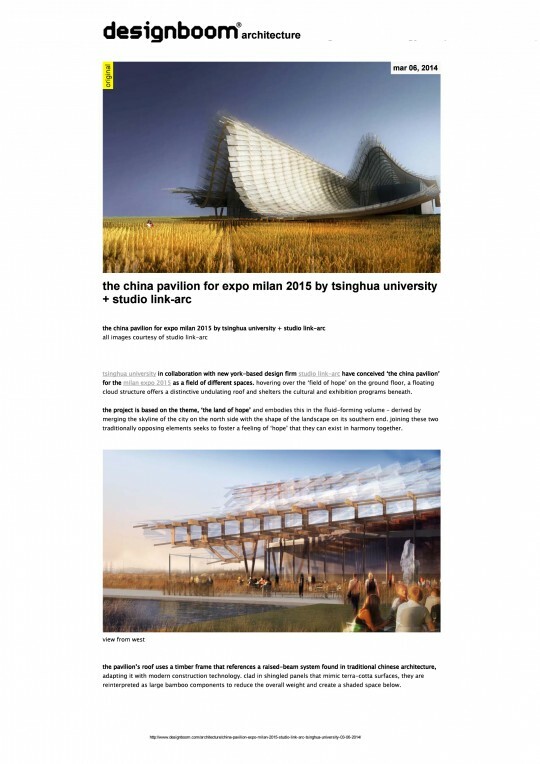 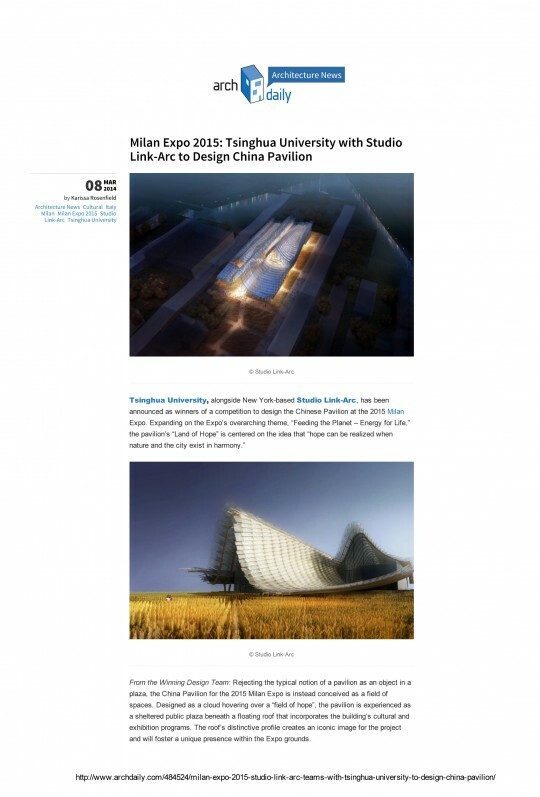 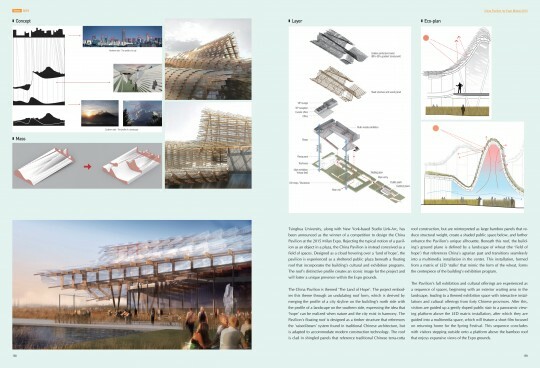 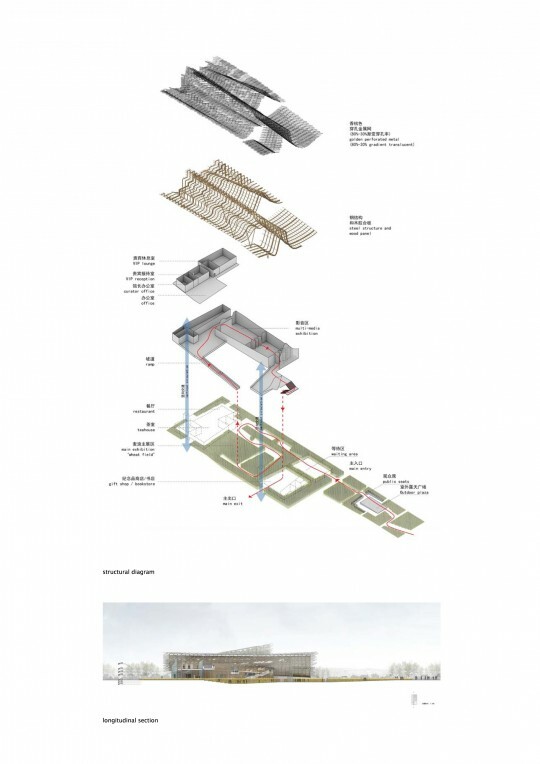 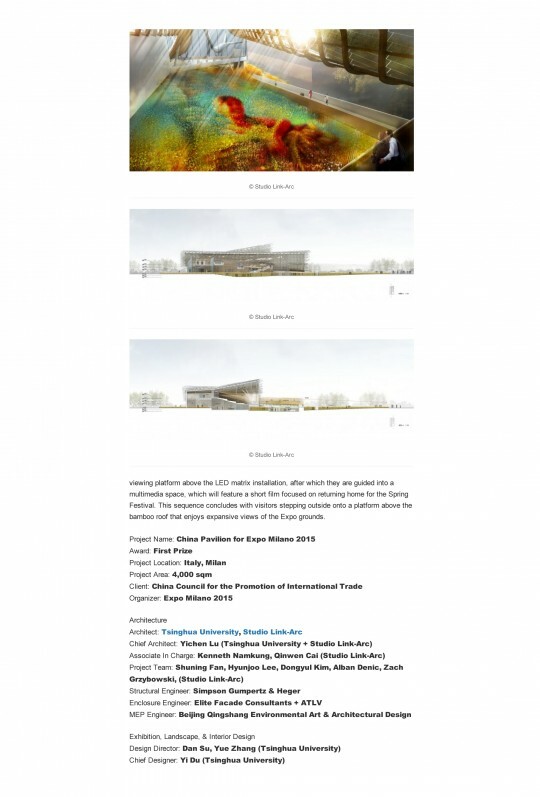 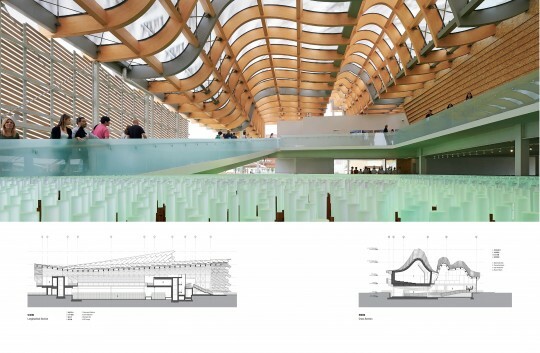 Studio Link-Arc and Simpson Gumpertz & Heger were awarded the 2016 National Recognition Award by the American Council of Engineering Companies for the China Pavilion for Expo Milano 2015. 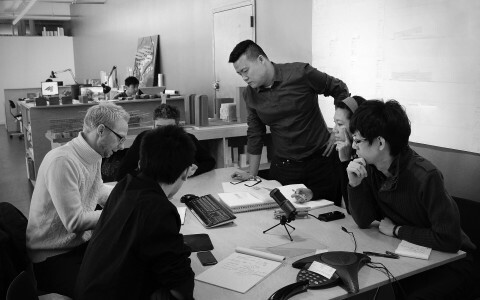 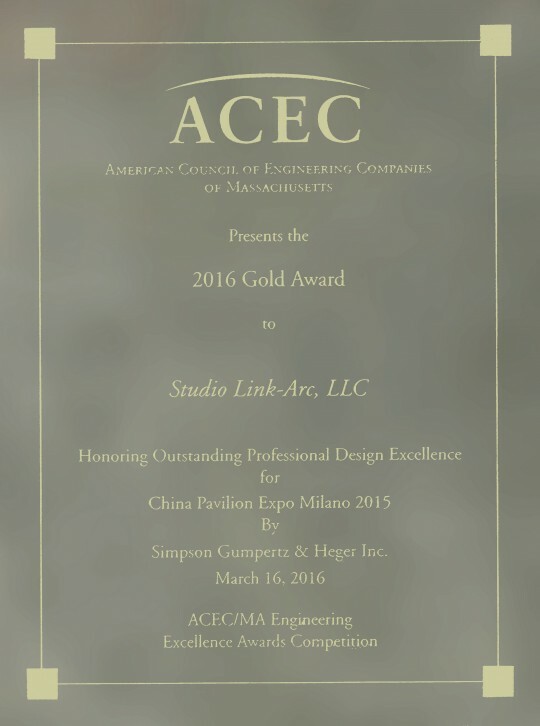 Studio Link-Arc and Simpson Gumpertz & Heger were awarded the 2016 Gold Award for Outstanding Professional Design Excellence by the Massachusetts Chapter of the American Council of Engineering Companies for the China Pavilion for Expo Milano 2015. 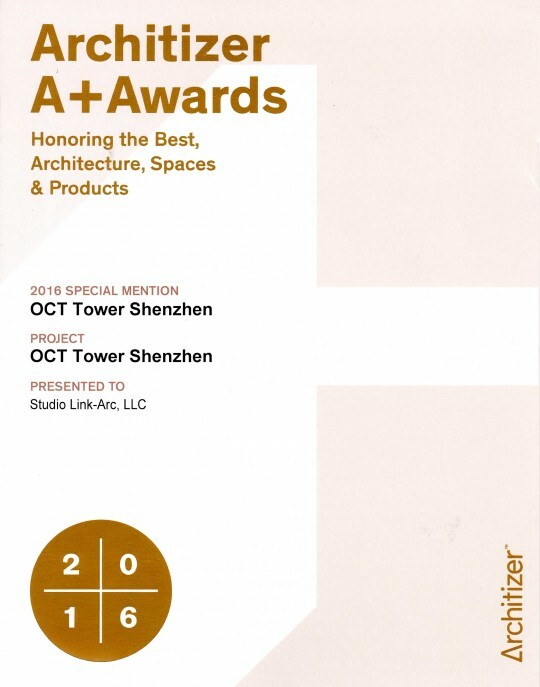 Studio Link-Arc’s unbuilt design proposal for the OCT Tower Shenzhen was selected as a Special Mention in the Architizer A+ Awards for in the category Unbuilt Commercial. 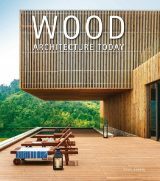 2016 WOODWORKS DESIGN AWARD "BEAUTY OF WOOD—INNOVATION"
The Wood Products Council recognized Studio Link-Arc with the 2016 Wood Design Award in the “Beauty of Wood – Innovation” Category. 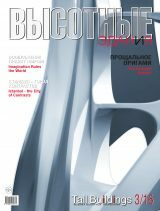 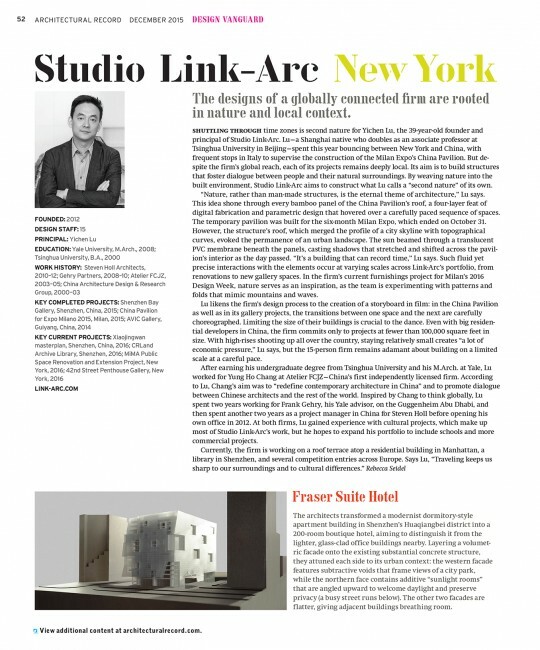 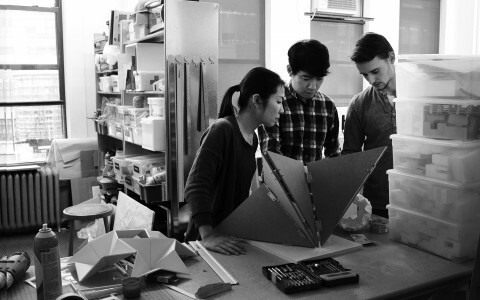 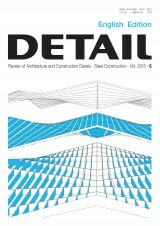 Studio Link-Arc was recognized by Architectural Record as part its annual Design Vanguard 2016, which spotlights architects doing innovative work in the field, and are anticipated as future design leaders. 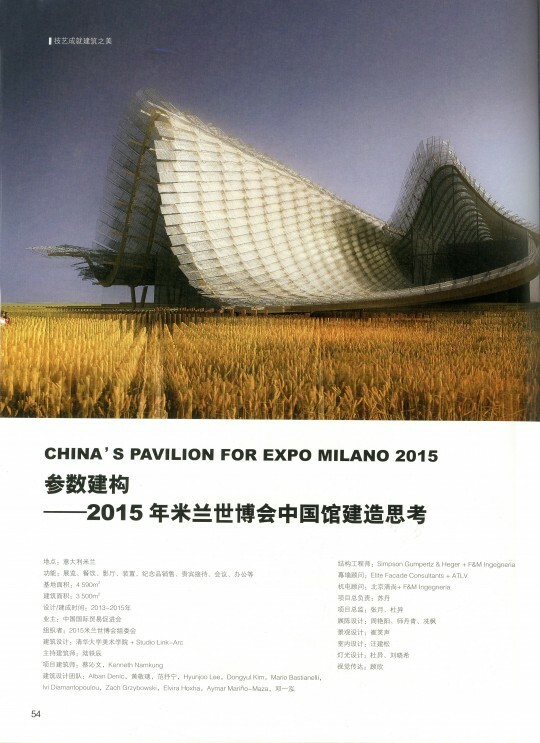 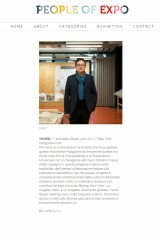 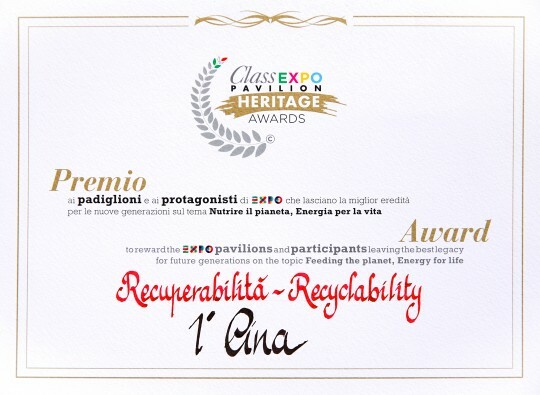 The China Pavilion for Expo Milano 2015 received the 2015 Class Expo Pavilion Heritage Award from the Italian media group Class Editori. 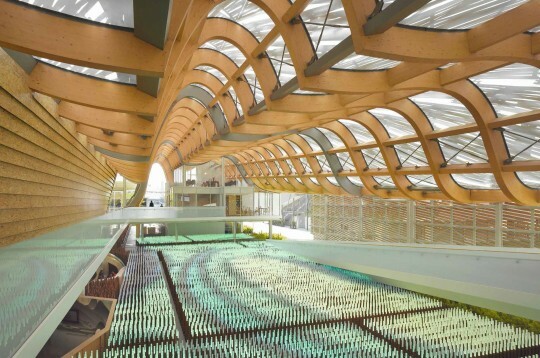 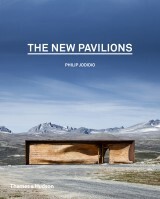 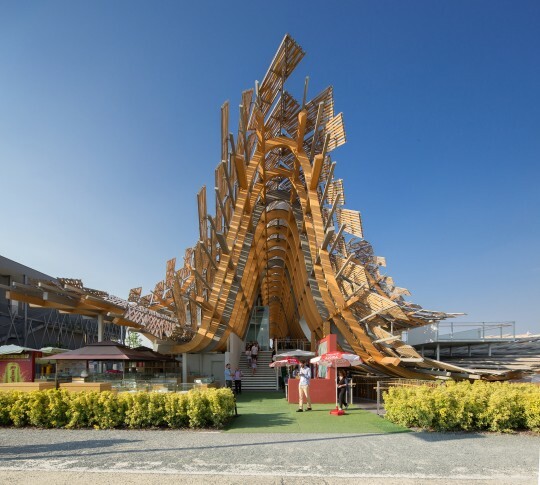 The Pavilion was awarded for its uniquely sustainable materials palette, which aligned closely to the Expo’s theme of “Feeding the Planet, Energy for Life,” which was dedicated to the problems of feeding the world. 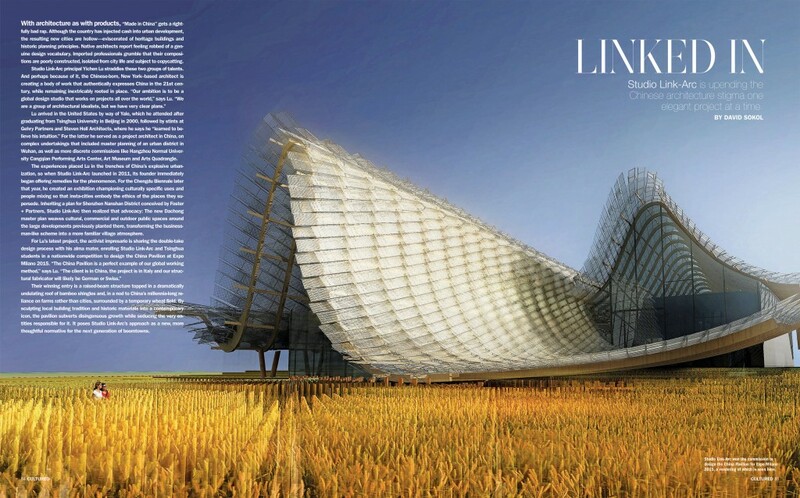 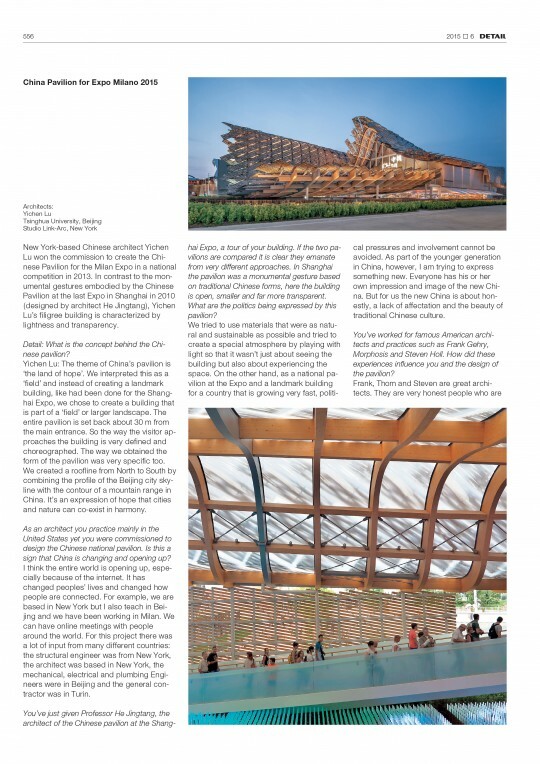 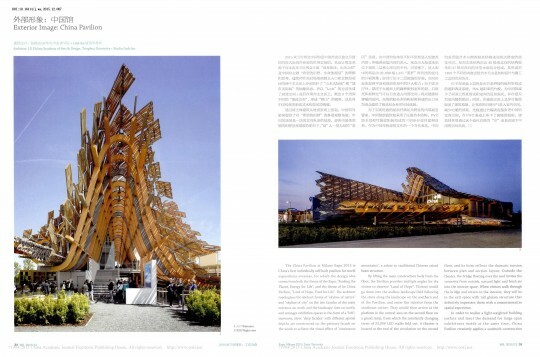 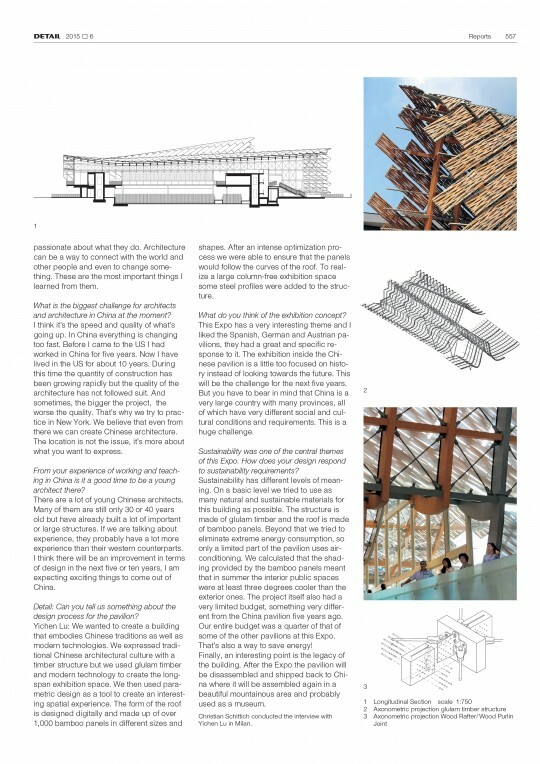 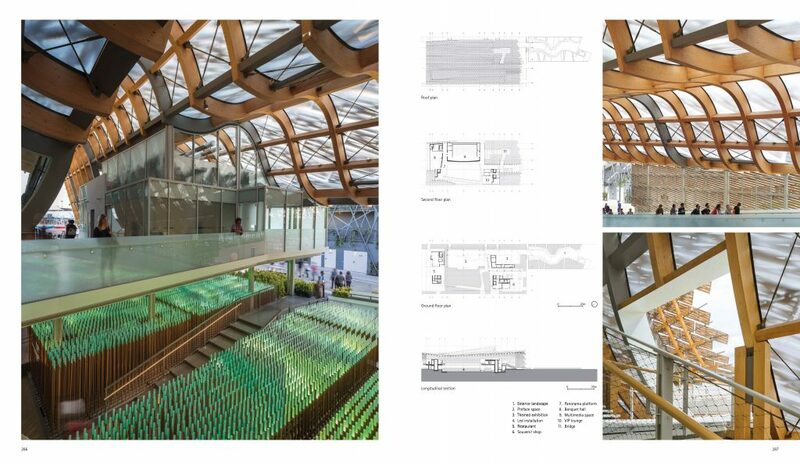 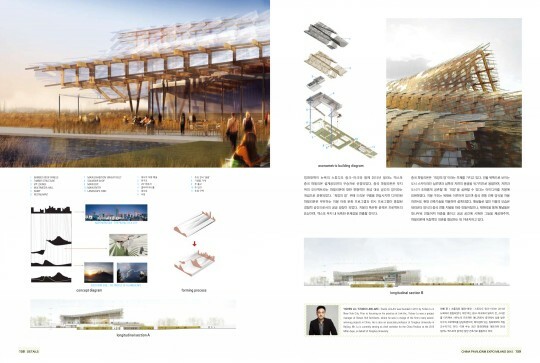 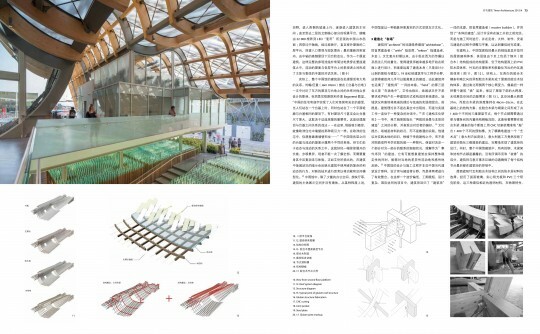 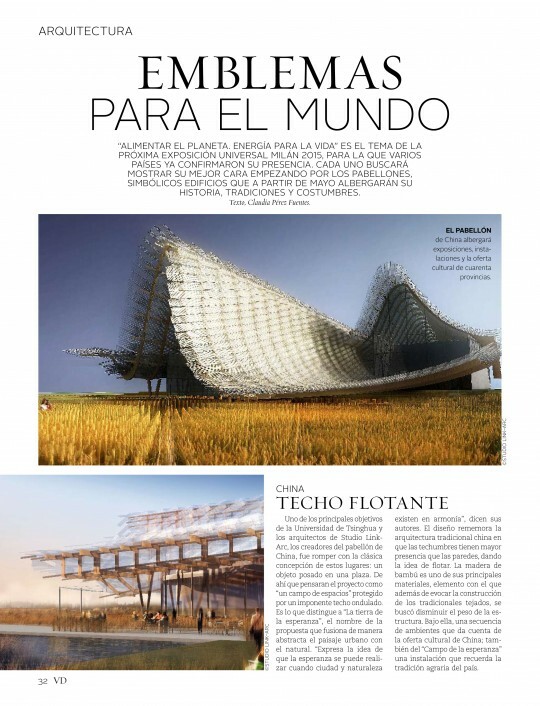 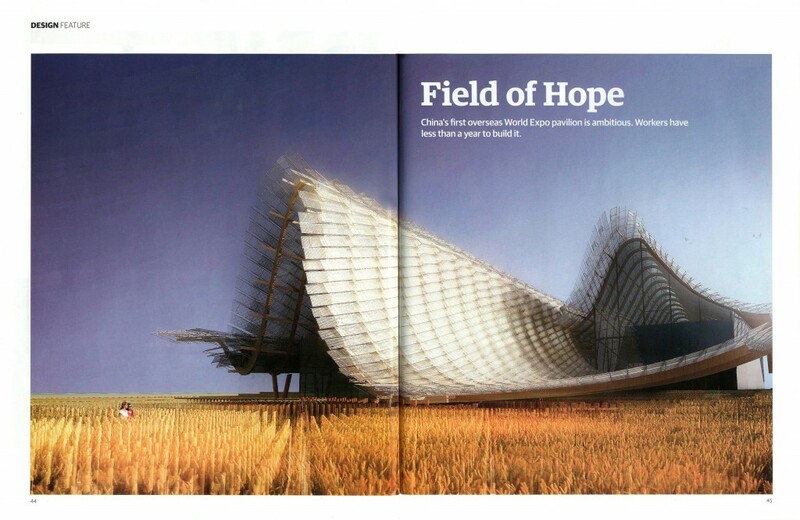 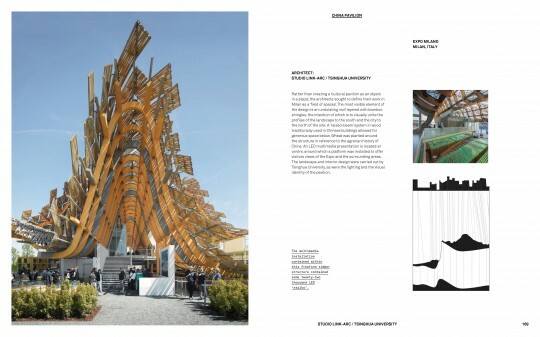 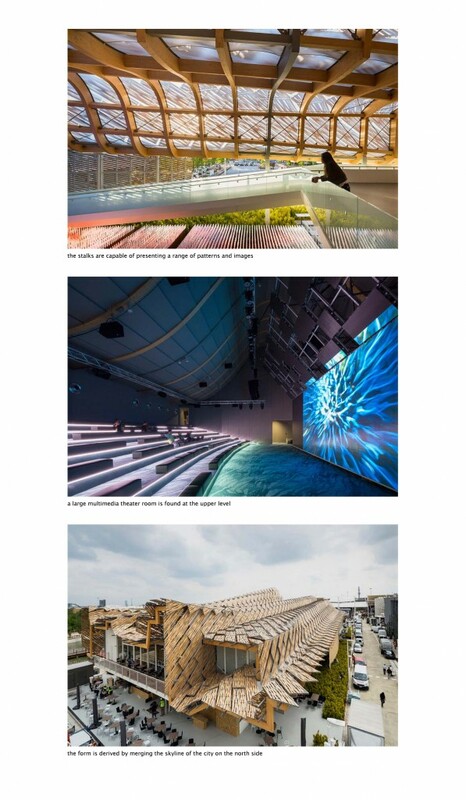 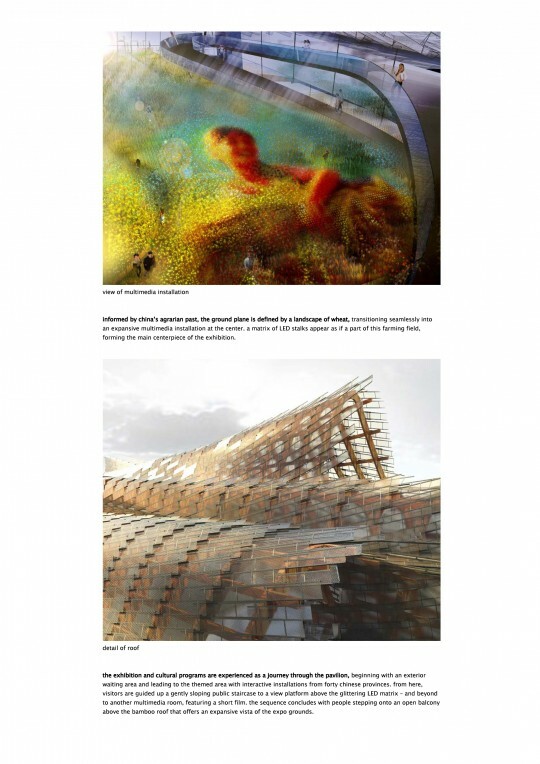 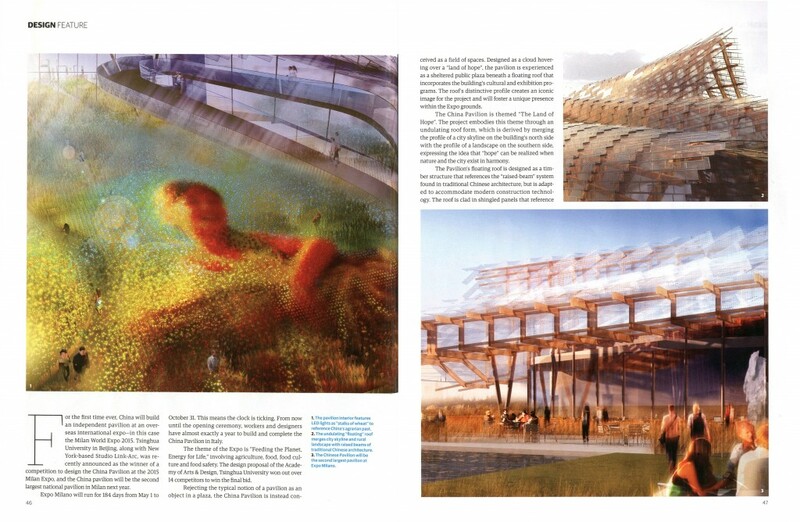 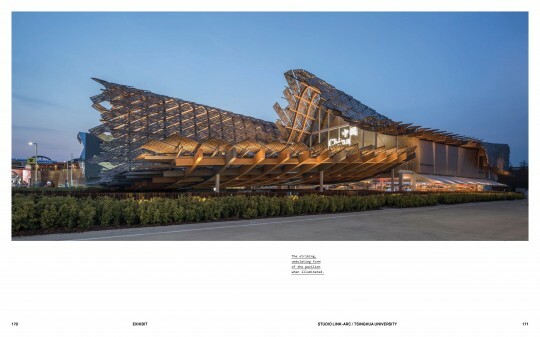 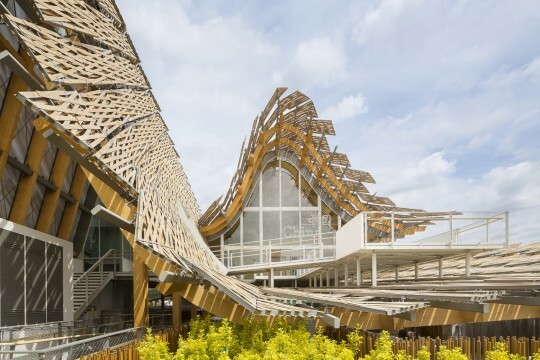 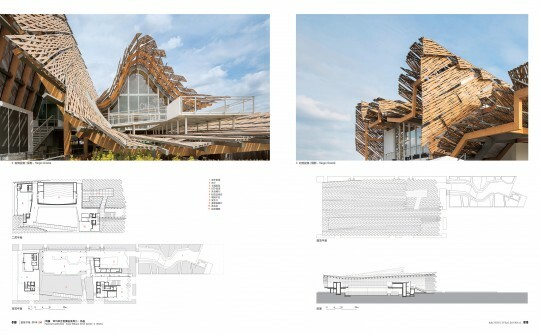 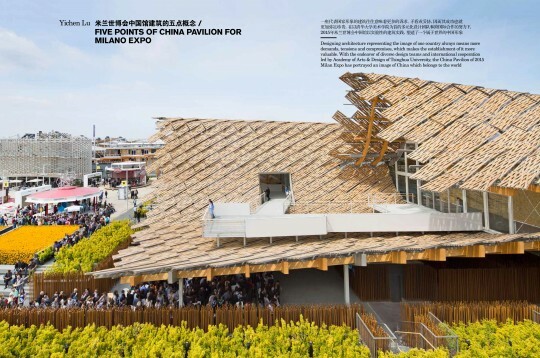 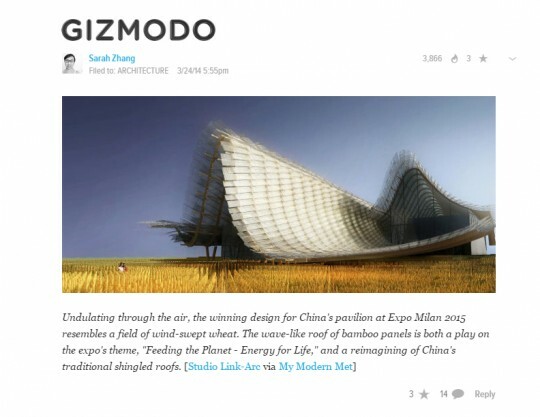 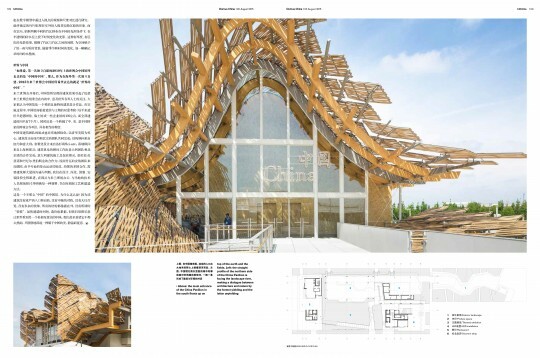 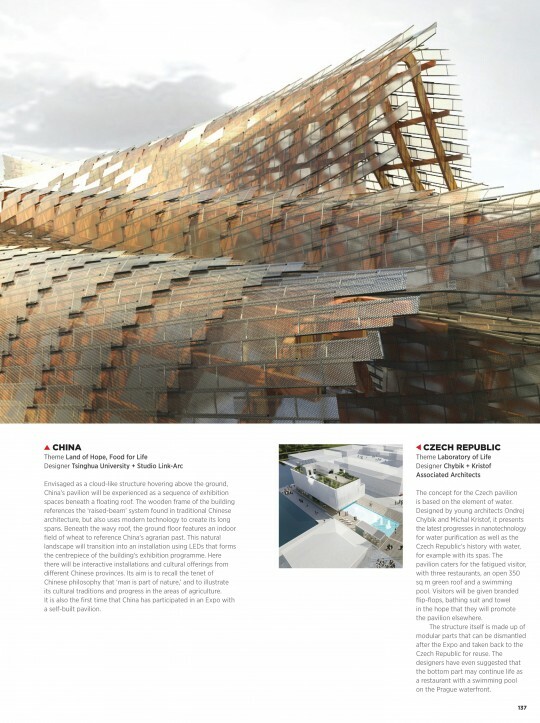 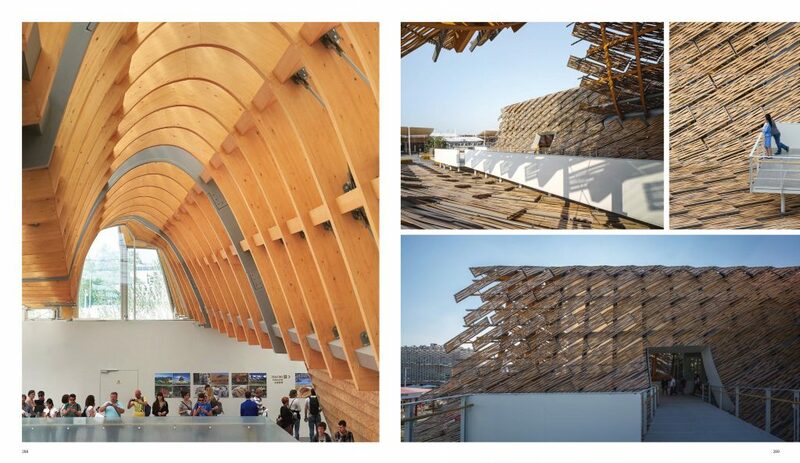 The China Pavilion for Expo Milano 2015 received an Honorable Mention from Exhibitor Magazine for Best Exterior Design as part of its Expo 2015 Awards program. 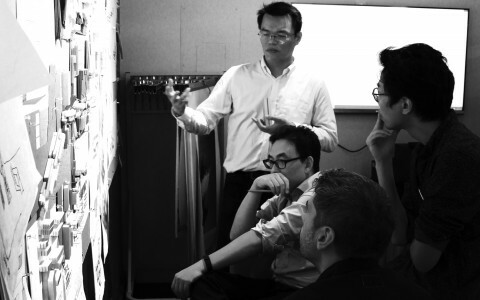 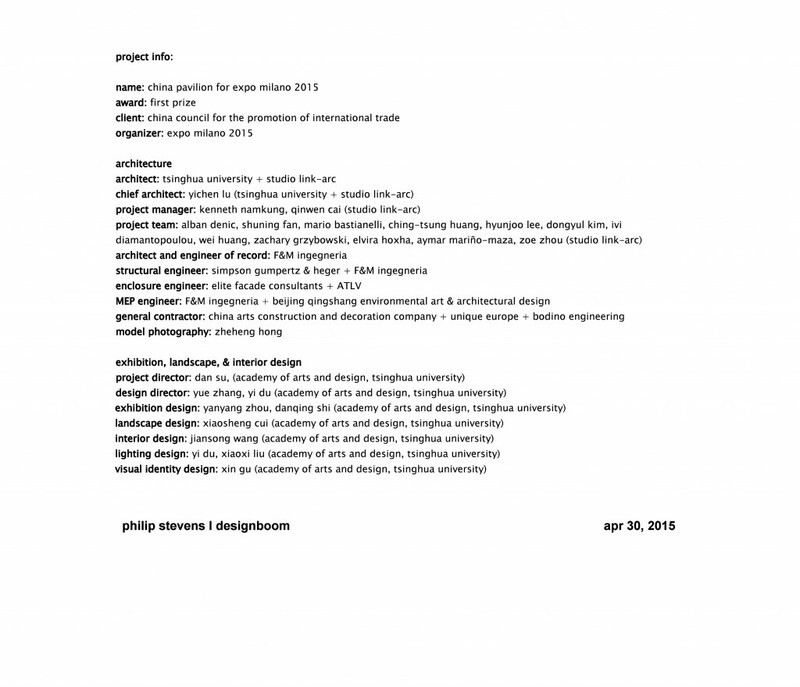 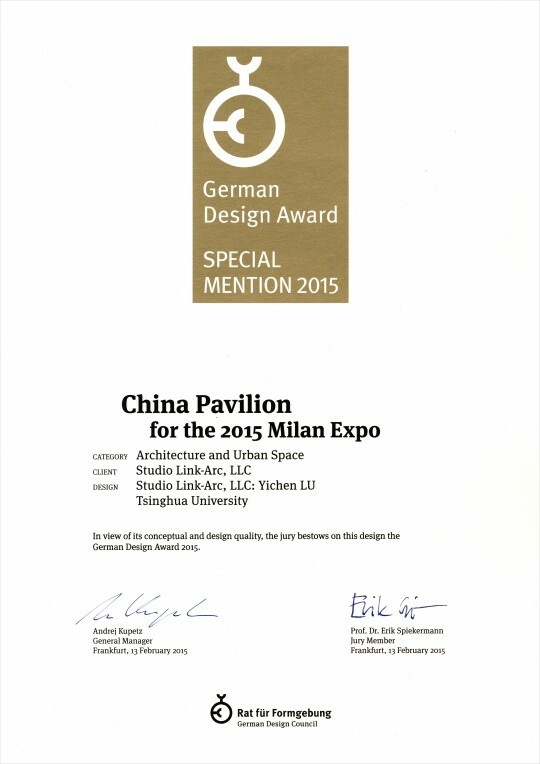 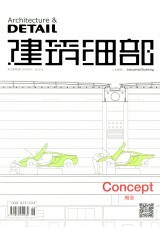 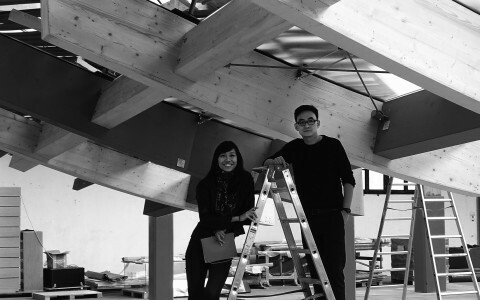 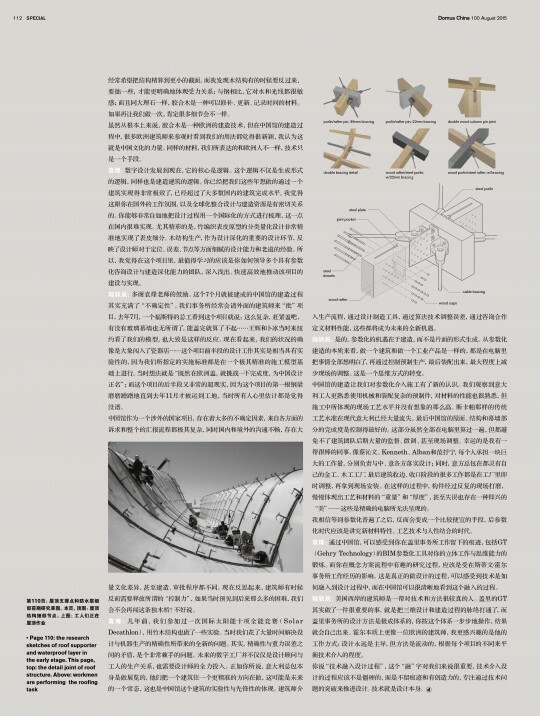 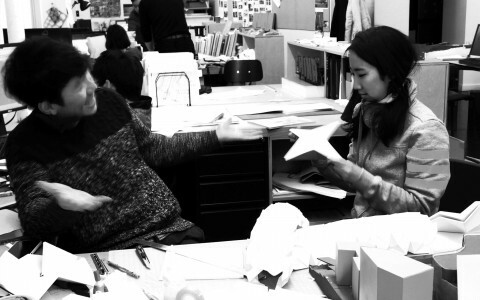 Studio Link-Arc and Tsinghua University received the German Design Award Special Mention 2015 for the China Pavilion. 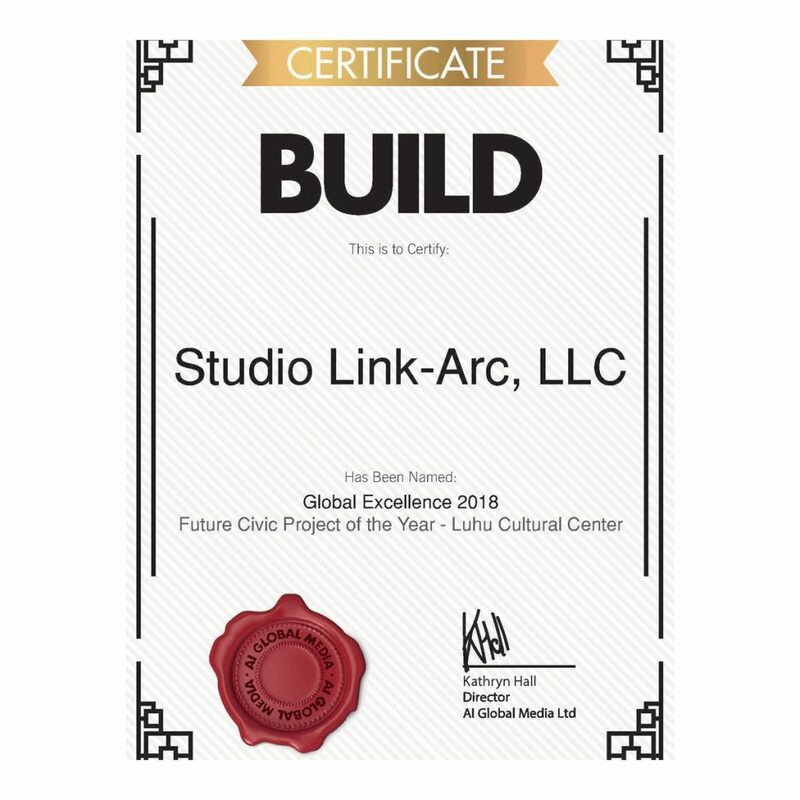 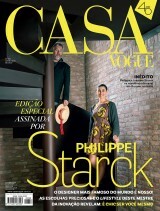 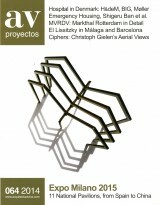 Studio Link-Arc was awarded the “Annual Architectural Design Award” as part of the 12th Modern Decoration International Media Award for the CVIC Gallery. 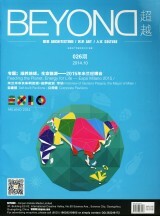 The ceremony was held in December 2014 in Shenzhen.